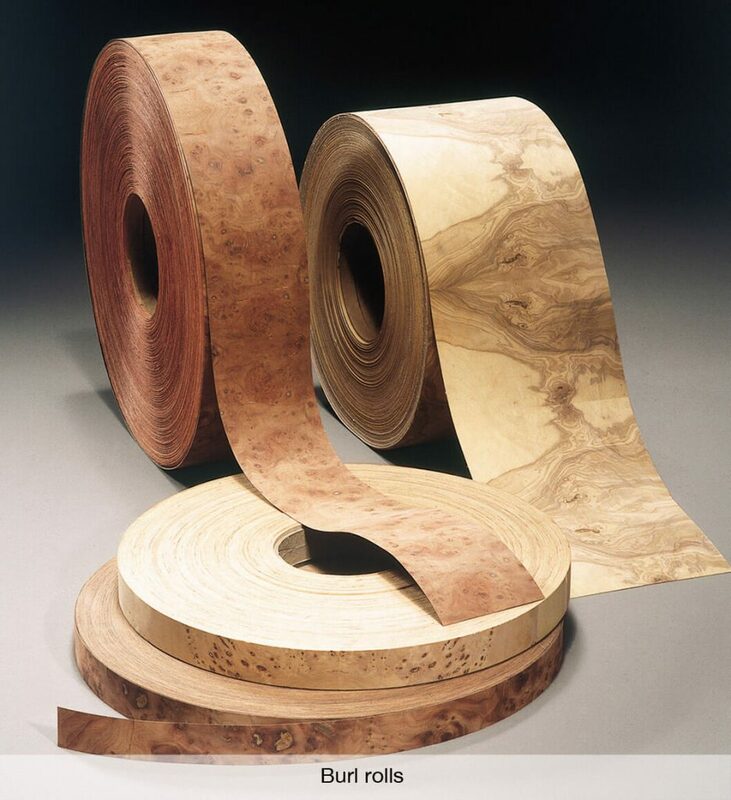 Thick veneer rolls are constructed using several veneer layers of standard thickness (0,5 mm) pressed together to form a sandwich to the desired thickness. 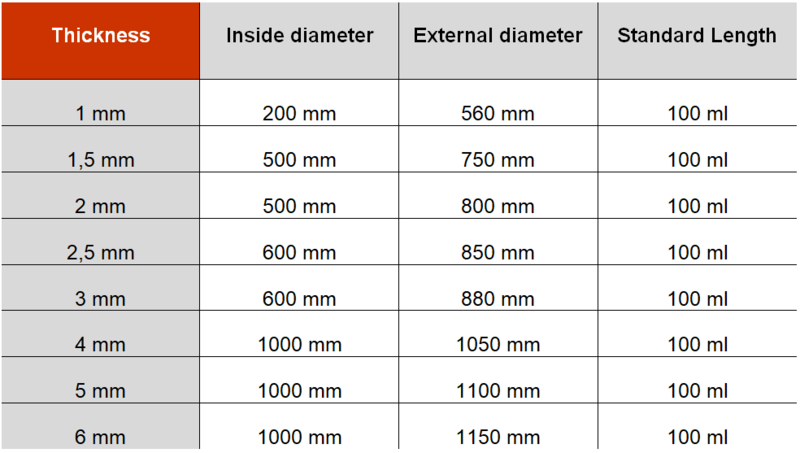 Possible widths range from 14 mm to 250 mm. 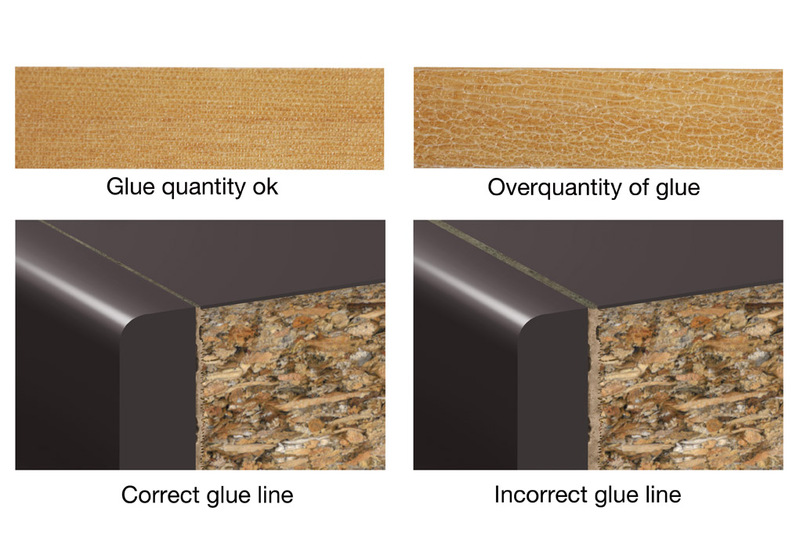 Why thick edges in rolls are the perfect substitute for solid veneer strips? 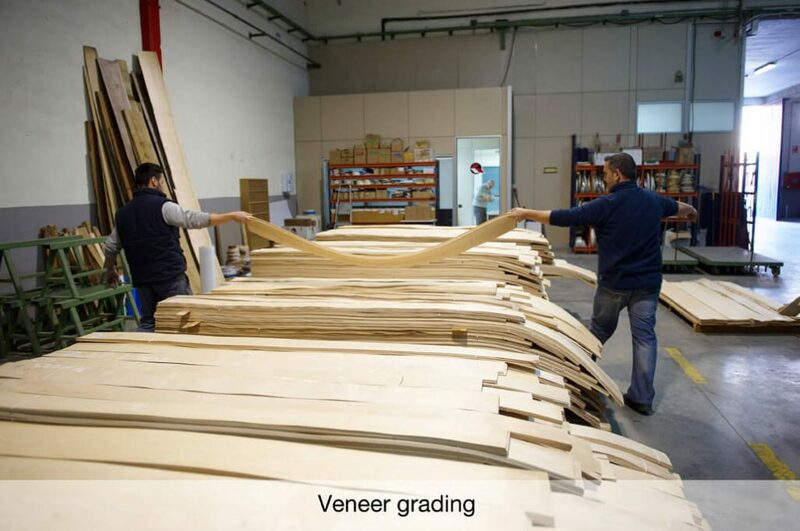 First quality veneer is used on the upper layer, insuring thus the finest aspect of tonality and grain required. 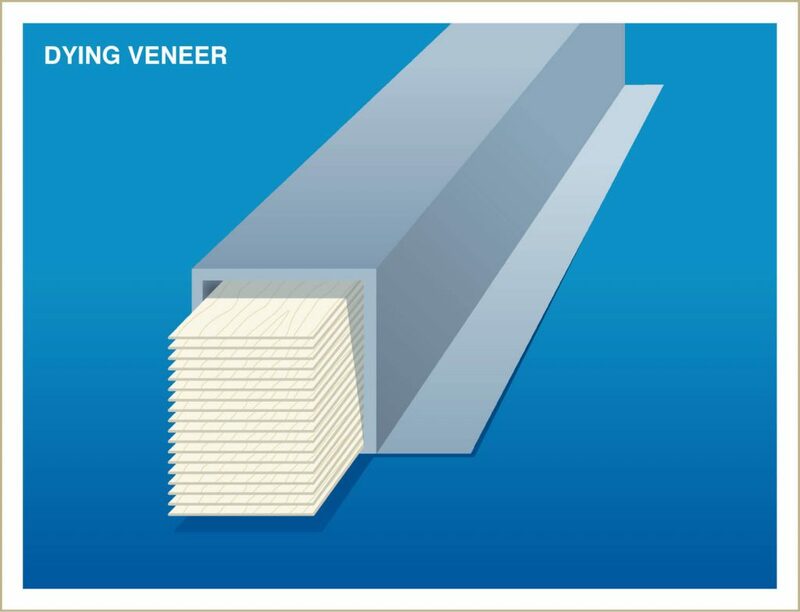 Thick veneer rolls are more flexible than solid veneer strips. 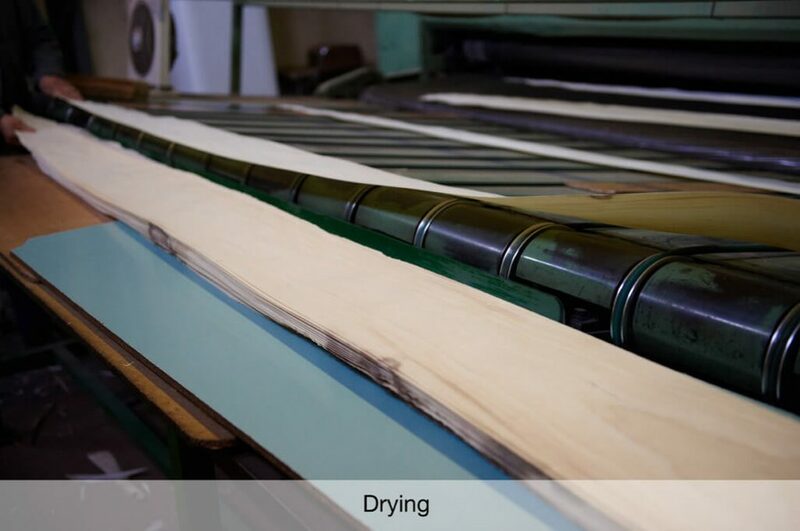 Continuous thick veneer rolls can be used on automatic edge banding machines. Roughened base layer ensures perfect adherence. 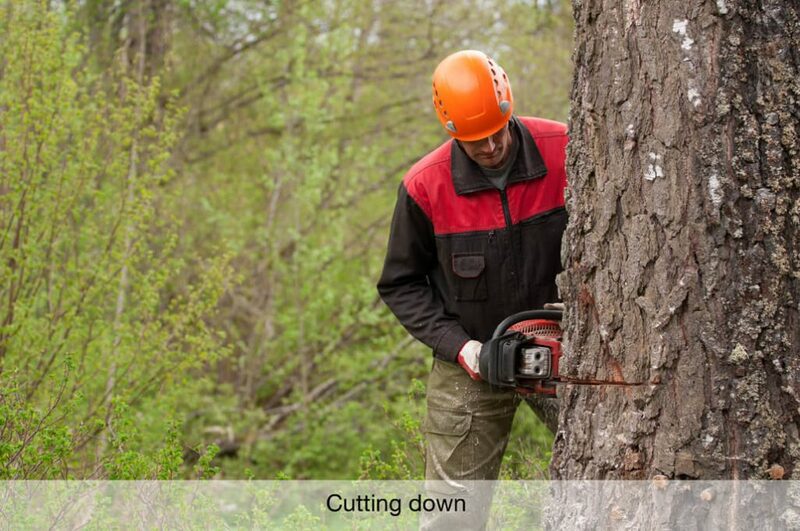 Offers better and easier conservation and storage possibilities. 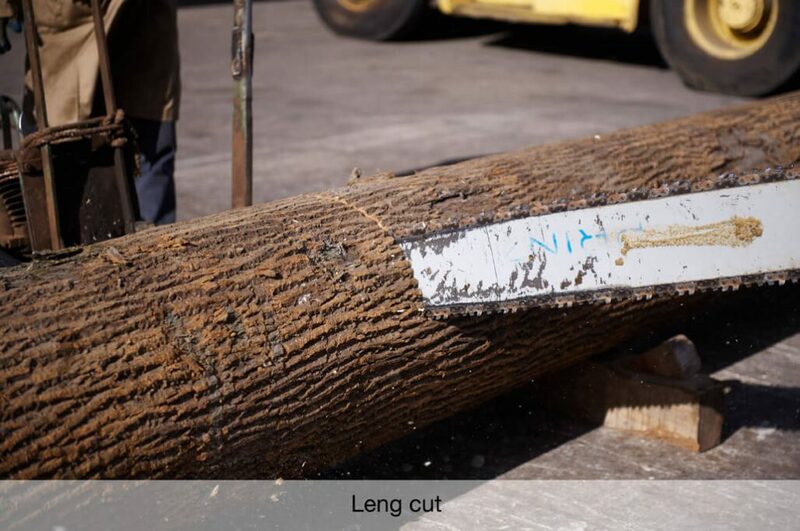 Endless thick veneer rolls ensure minimum wastage during edging process. 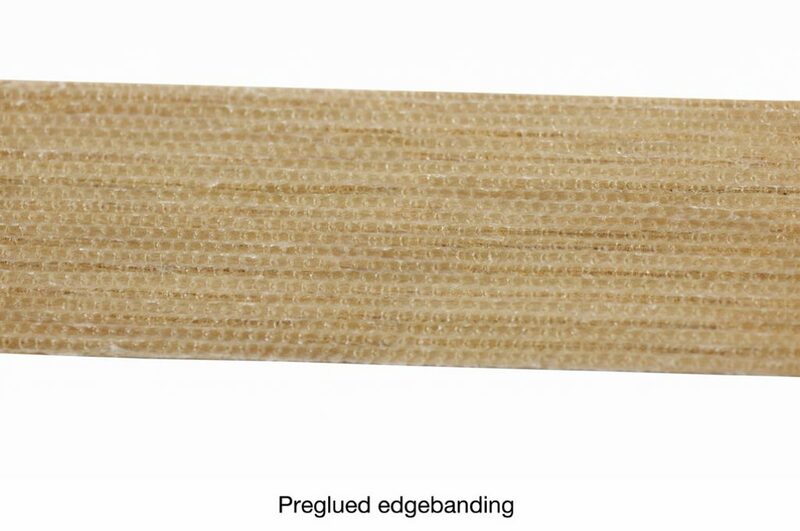 What is the edgeband thickness according to the number of layers? 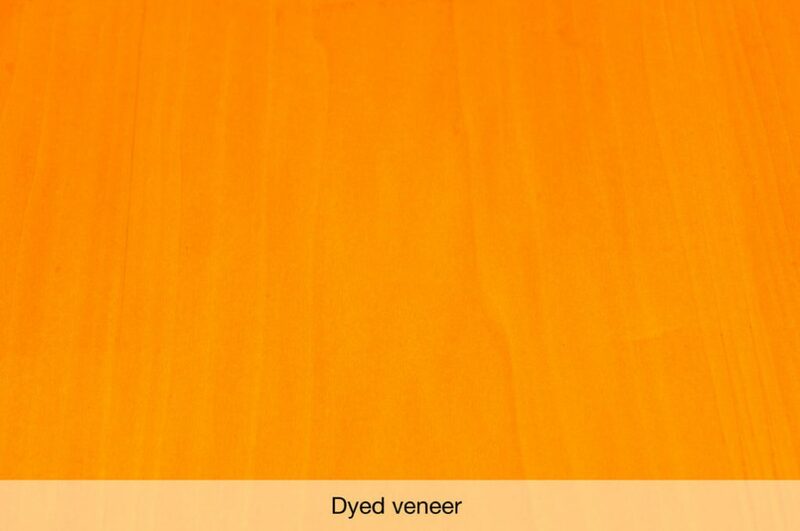 To produce thick edges, veneers are previously selected (quality choice and colour coordination). 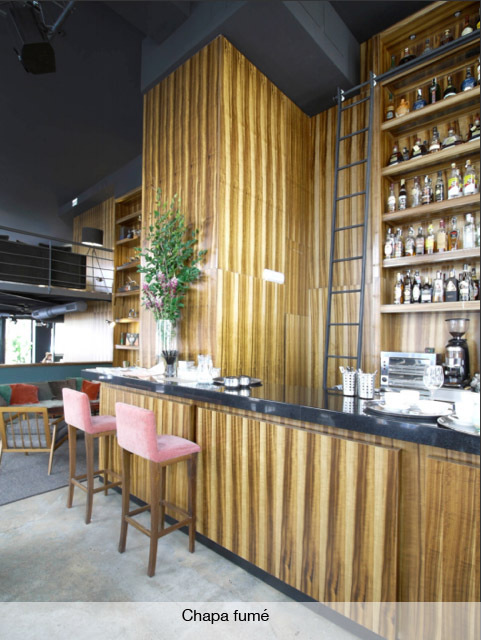 Although it depends on the timber species, quarter cut, with a uniform, straight vertical grain, is preferred through the world by furniture designers, obtaining an almost invisible spice line. 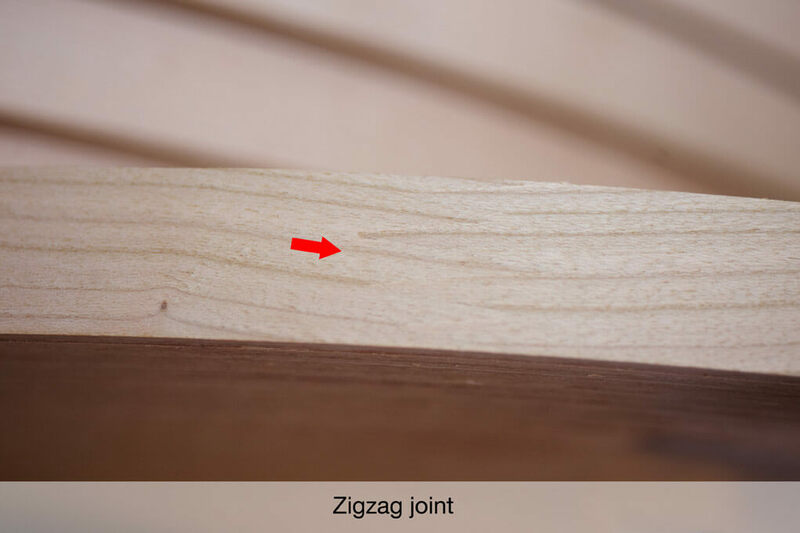 To obtain an almost invisible spice line veneer sheets are put together by an irregular taped zig-zag union. This technique optically conceals the union of both sheets and the backside is strengthened with fabric. 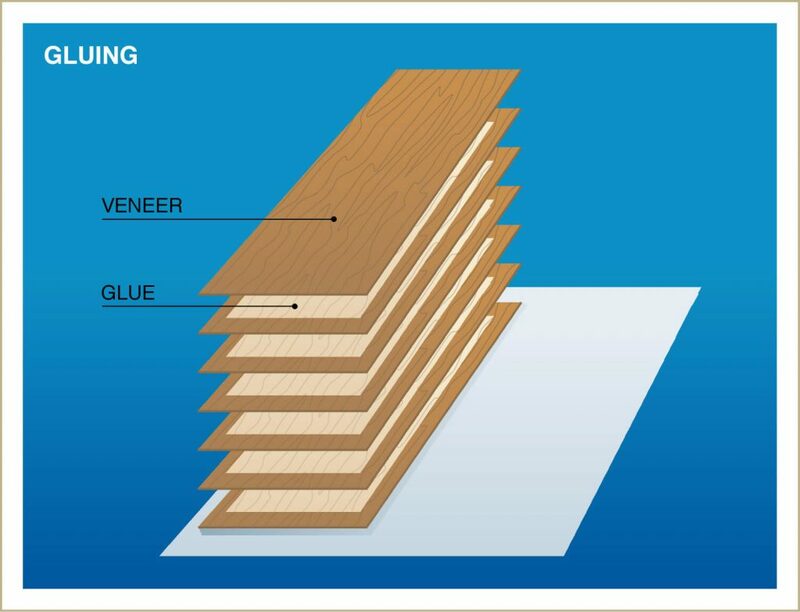 If the veneer is not perfectly flat, it’s pressed before being turned into edges. 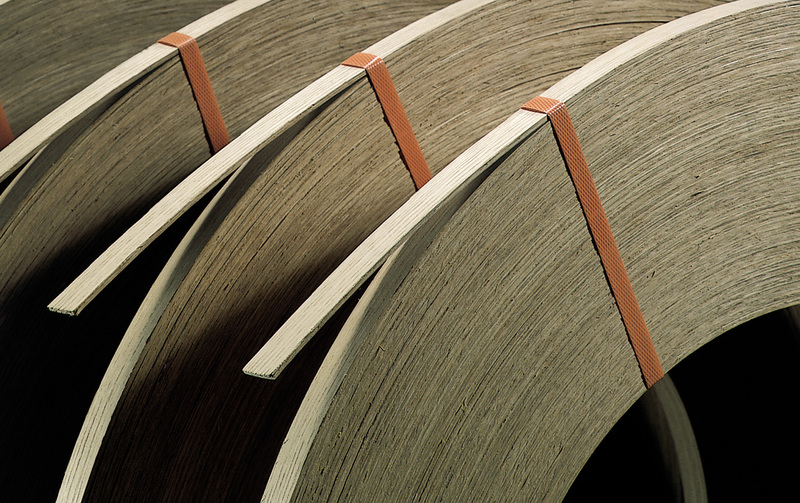 Reducing veneer buckles avoids edge banding application failures, thus eliminating the risk of production interruptions. All single layers are bonded together using PVA glues. 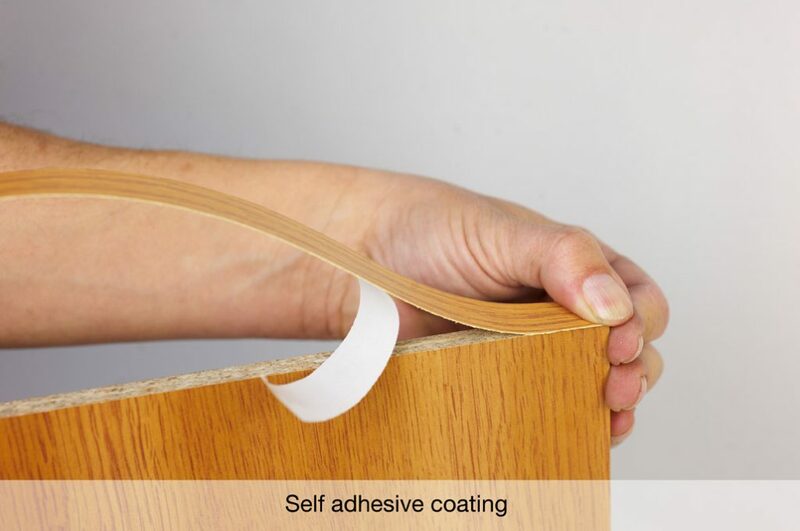 These glues boost flexibility and are resistant to humidity. 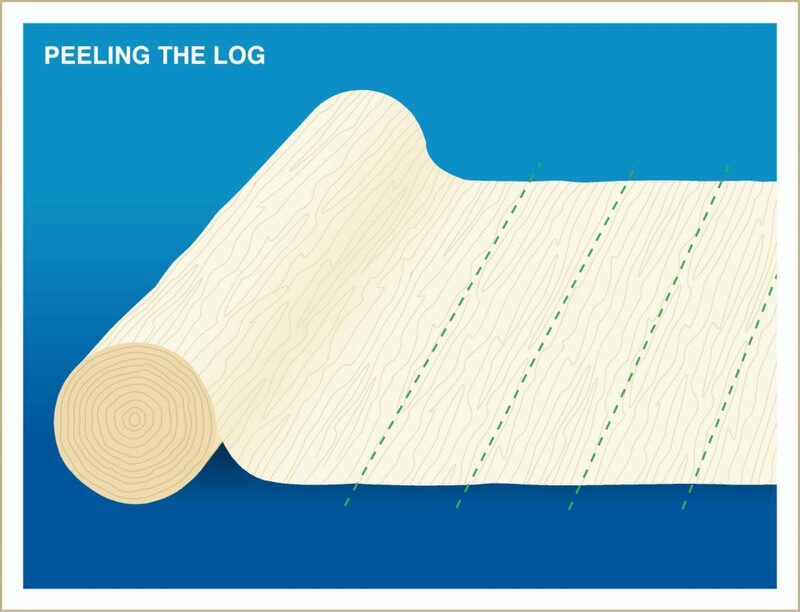 The edge banding manufacturing process ends up by saw slicing the jumbo rolls, to ensure clean cut and to avoid splintering. 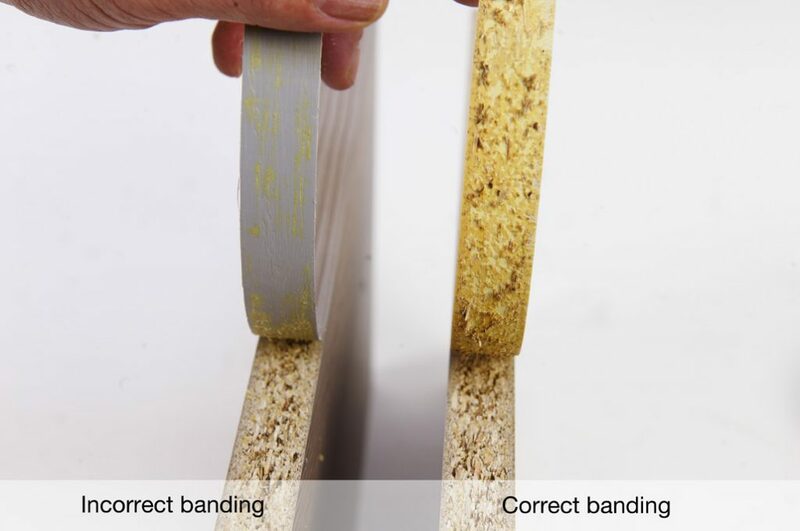 The roughened backside of our thick edges (40 grit) ensures a strong bonding surface. 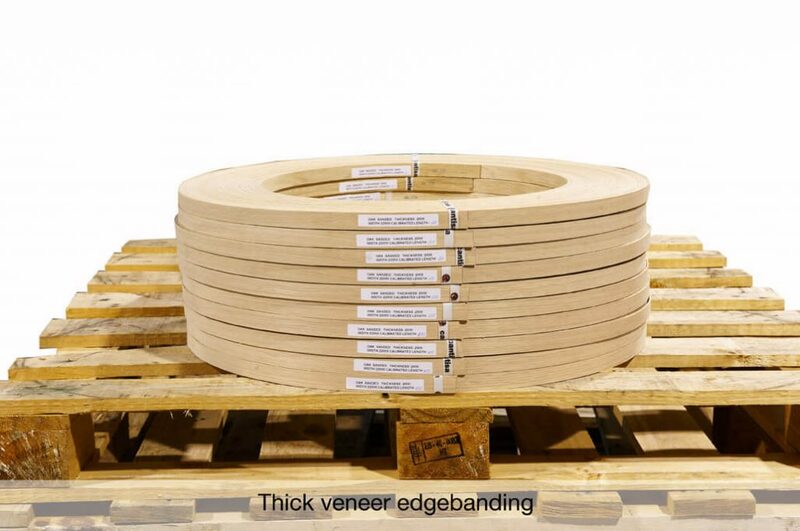 Finally, the thick veneer rolls are packed in cardboard boxes or pallets. If requested by the customer, rolls are wrapped in plastic bags, to preserve wood qualities. 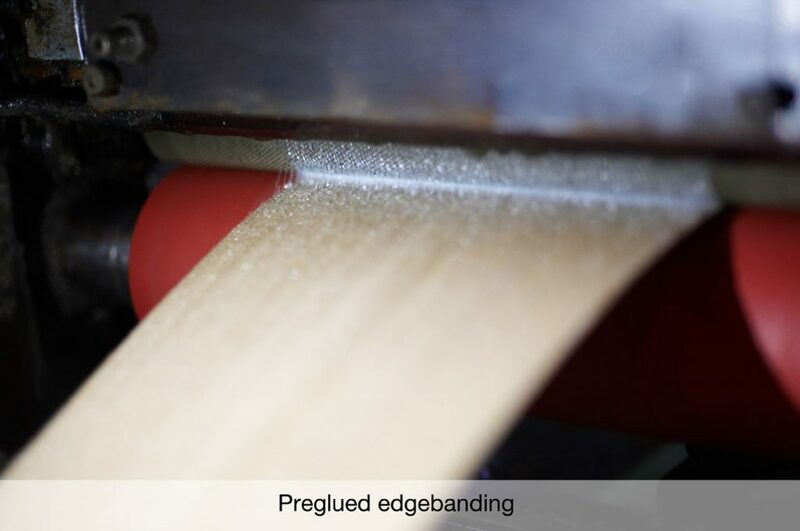 Edge banding veneer rolls are produced from the requested veneers without further treatment. 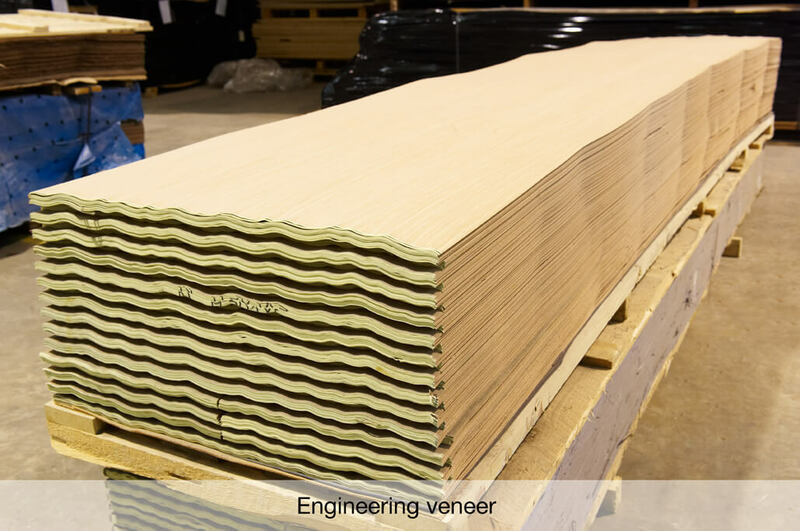 For special applications, and at the customer’s request, we can join veneer sheets of a determined length in order to foresee where the joint will show once applied to the board. The result being that the joint will not be visible. 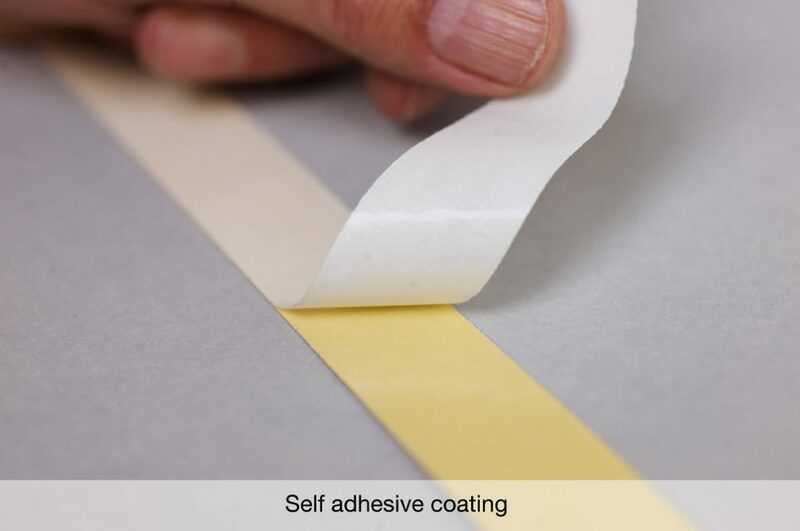 A coat of thermofused glue can be applied to the backside of the edge. This glue will melt at 180º. 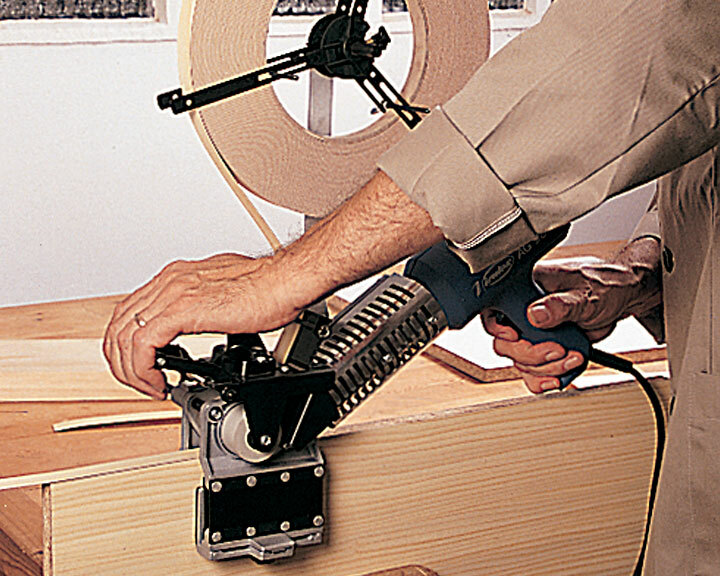 This product is for application with an edge banding machine that doesn’t have a glue dispenser. 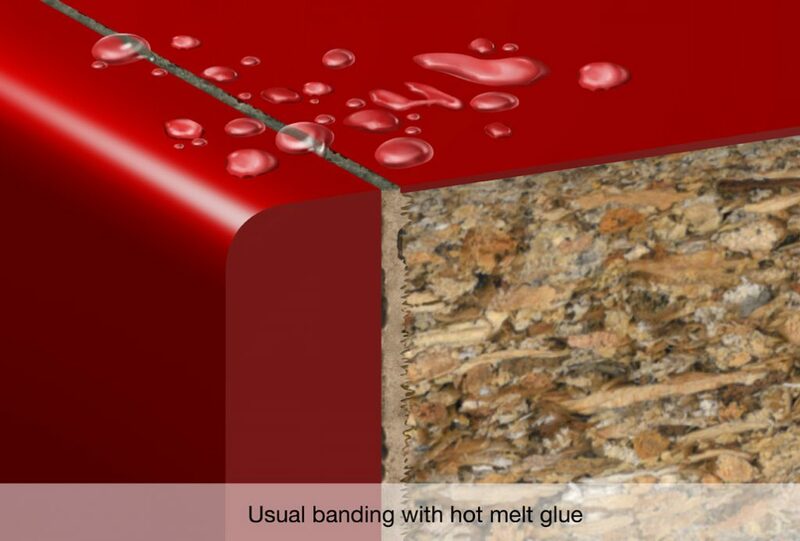 Thermofused edge banding uses heat to bond the edge band to the board. 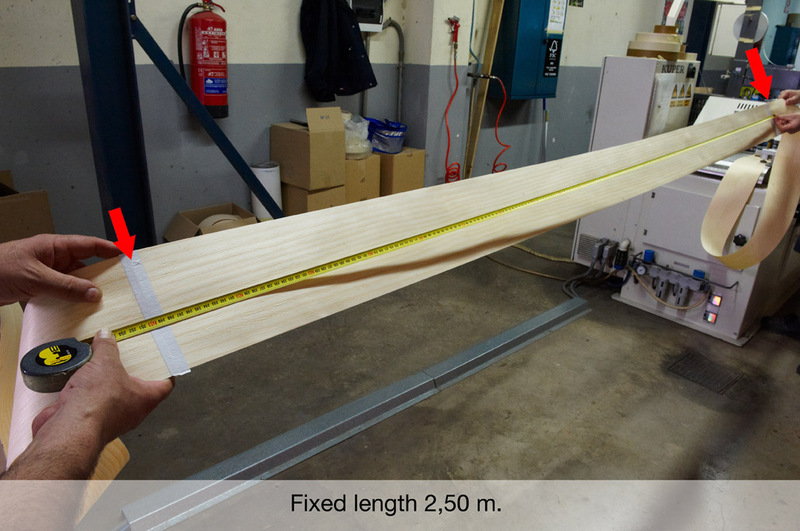 We apply a 120 gr/sq m of glue on the backside of the edge band. 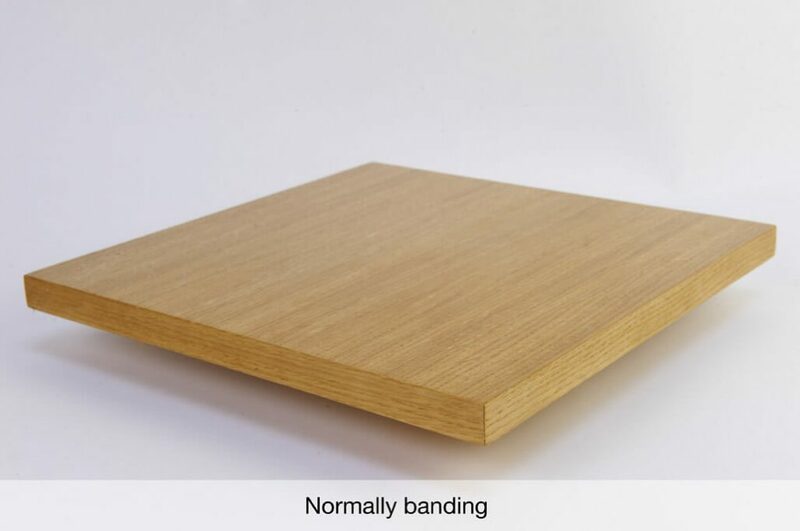 This quantity will ensure a perfect bonding, free of excessive glue between the board and the edge band. 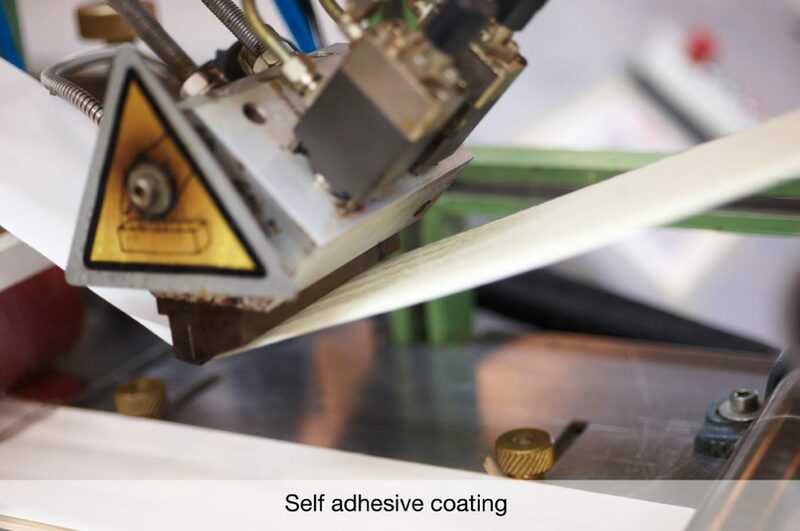 The softening point of our glue is 85 – 90º C ( temperature at which the glue will begin to melt). 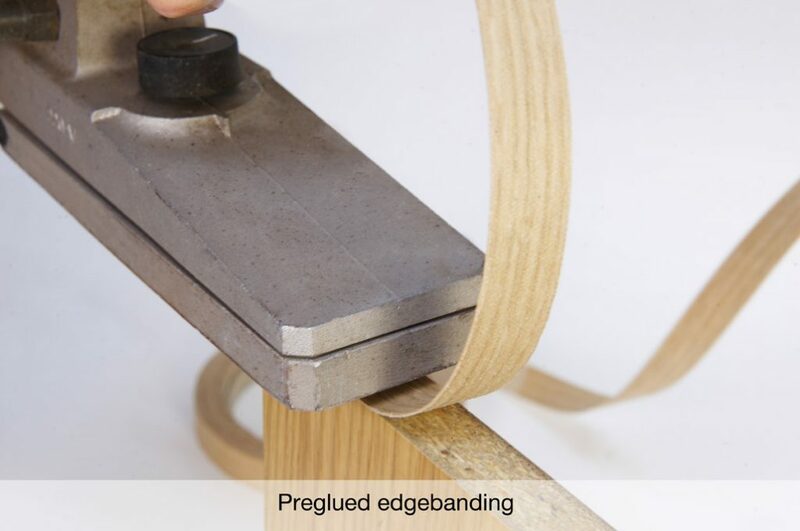 The upper face of the edge band can be sanded, thus avoiding the costly manual work of sanding by the customer. 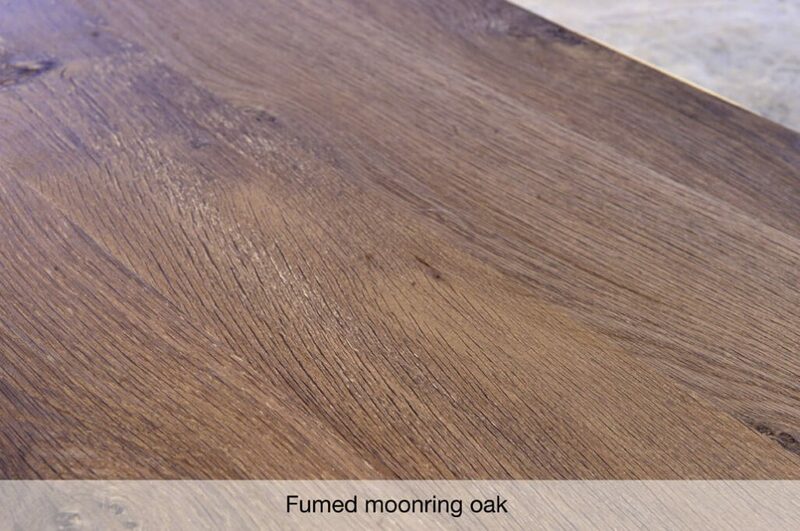 The quality provided by this finish it’s much higher than a manual sanding finish. 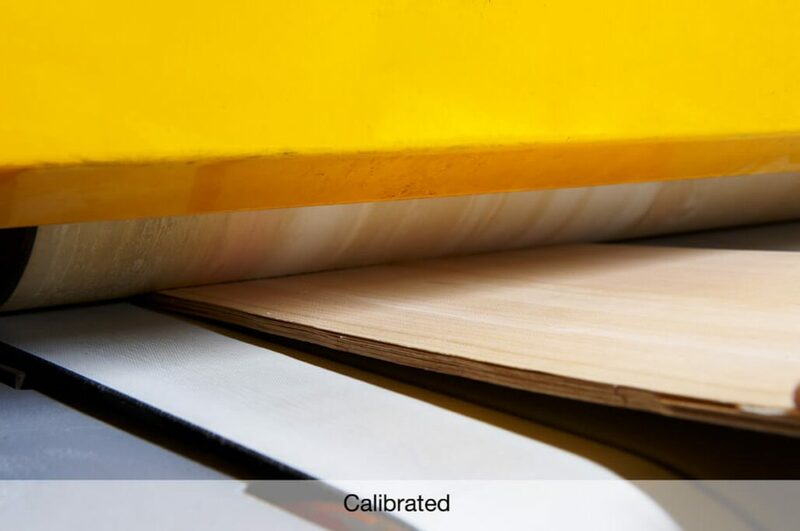 For special projects, jobs where high precision is required, we reduce the veneer thickness by means of back calibrated sanding, approaching the hundredth. 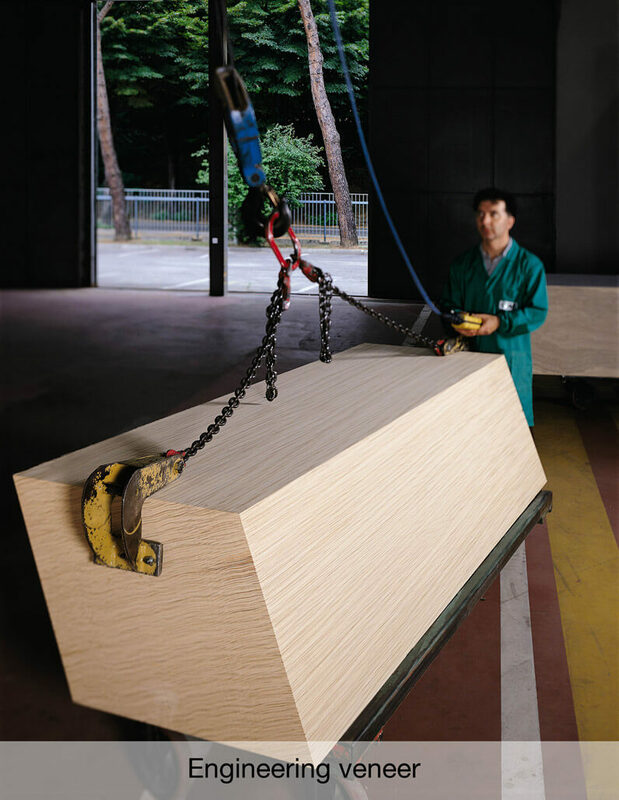 Thus, a thick veneer rolls of the exact thickness requested by the customer is obtained. Technical details of the process. 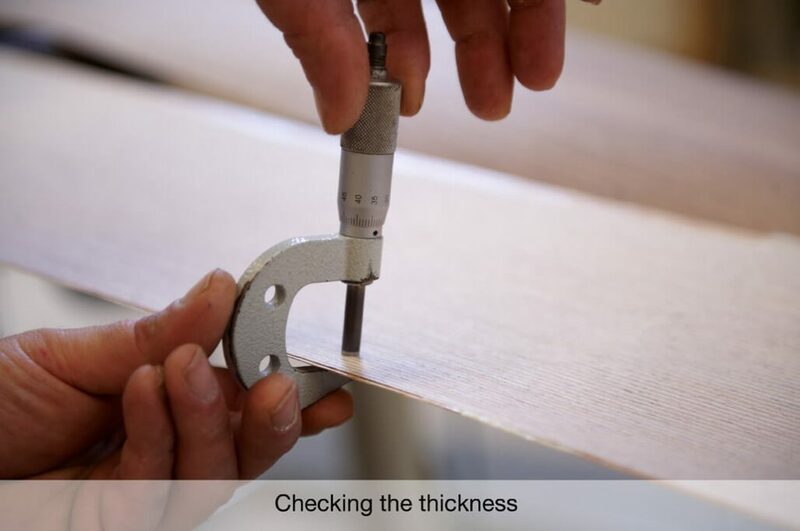 For 1 mm thickness, and when using veneer with a greater tendency to splinter, we can apply a 30 grams fleece between layers, ensuring a clean, splinter free final piece of veneered furniture. 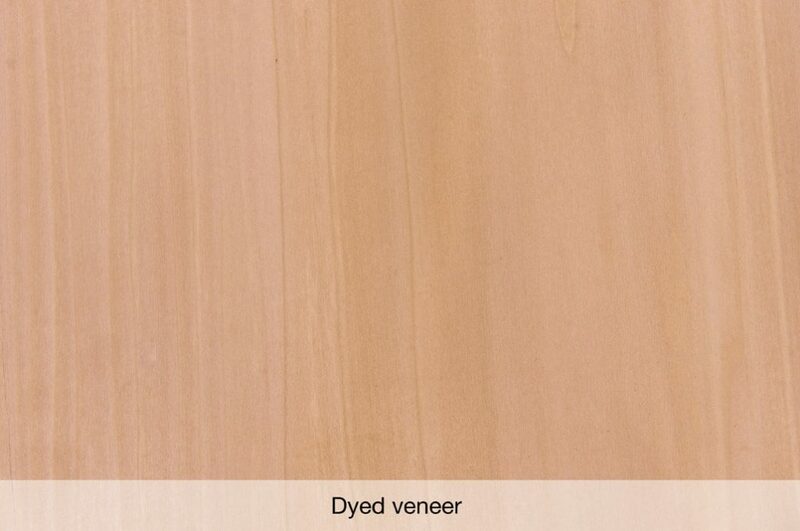 We offer all possibilities of varnish types on the surface of our veneer thick edges. Making it clear that we deliver the edge profile unvarnished. 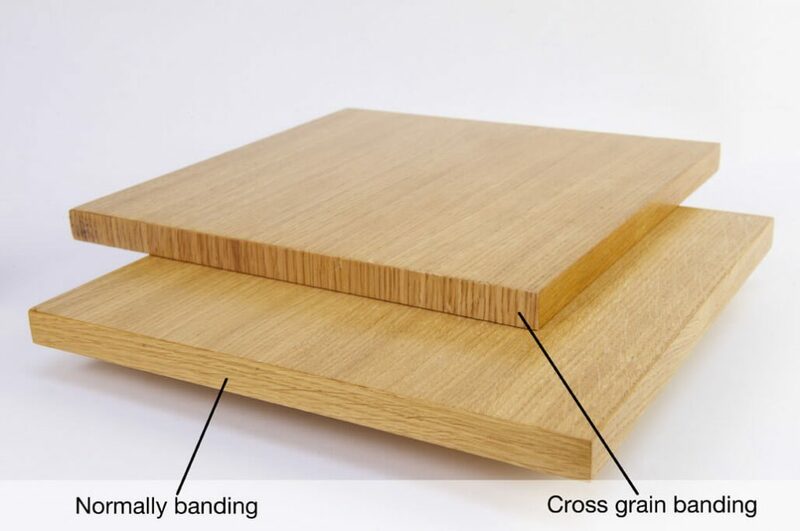 The customer must test the product, since depending on its varnishing system, he will manage to cover or not the edge profile once bonded to the panel. Veneer edges ready to be finished (varnished). 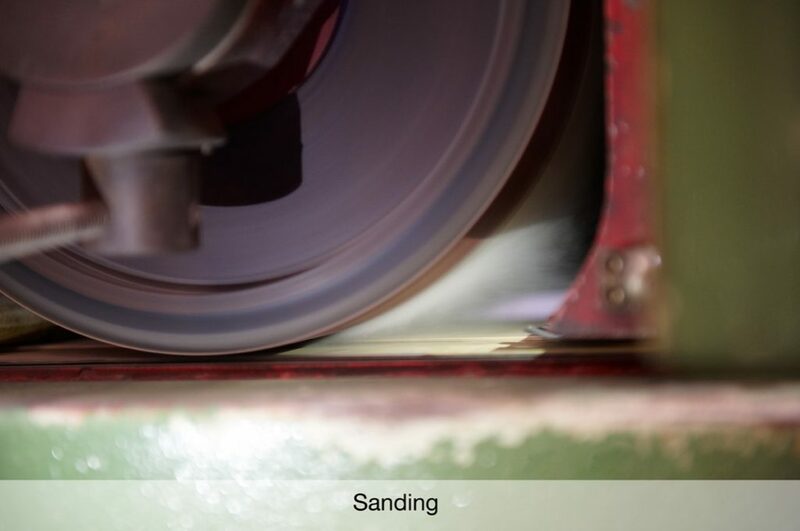 If the product has been stored for some time in your warehouse, it is advisable to light sand the veneer edges surface, in order to open the pore enabling thus a better adherence of the varnish product. 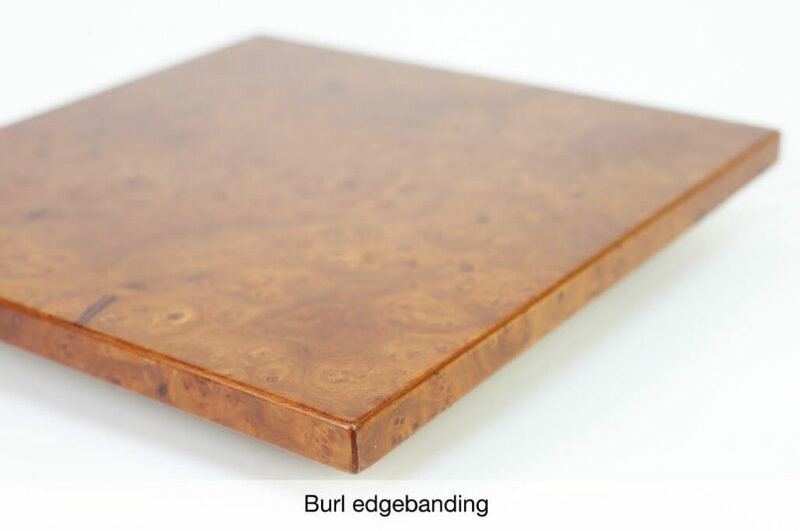 At the customer’s request, we can supply a ground lacquered with a wider or narrower wood pore. 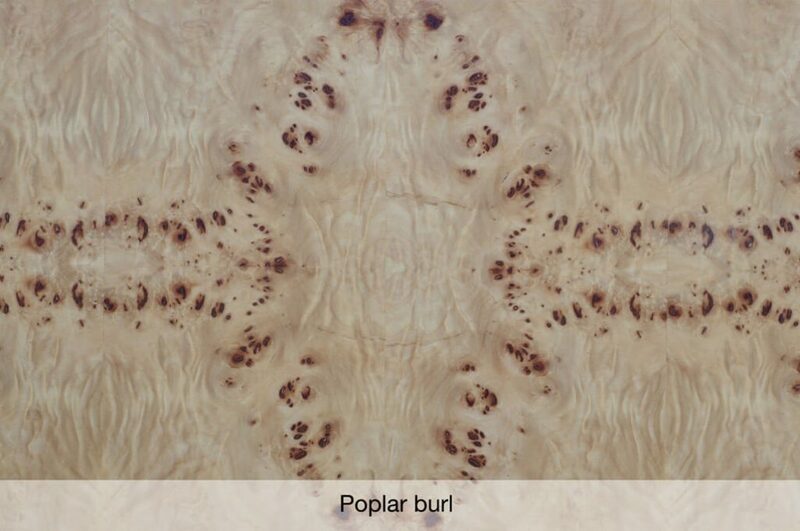 Following our customer’s instructions, we can work with open or closed pore, depending of the veneer species to be treated. The degrees of gloss can be adjusted and are measure by means of a gloss meter in order to match the gloss of the surface (from Mat 8 to Gloss 80). 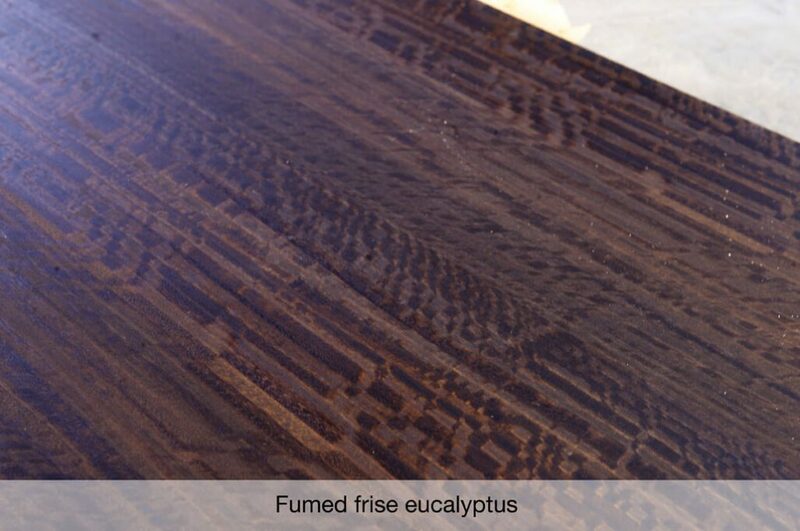 We require our customer to provide us a sample of his varnished board, in order to optimize the result of our labour. 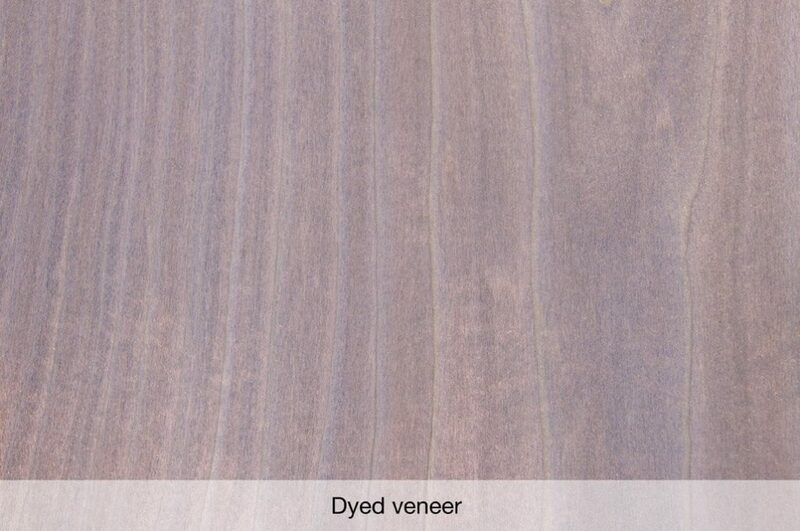 Colour and shine finished veneer edge banding, upon customer’s needs and requirements. This is a highly personalized product, and in each case, we evaluate the type of finish needed with the customer (open or closed pore). 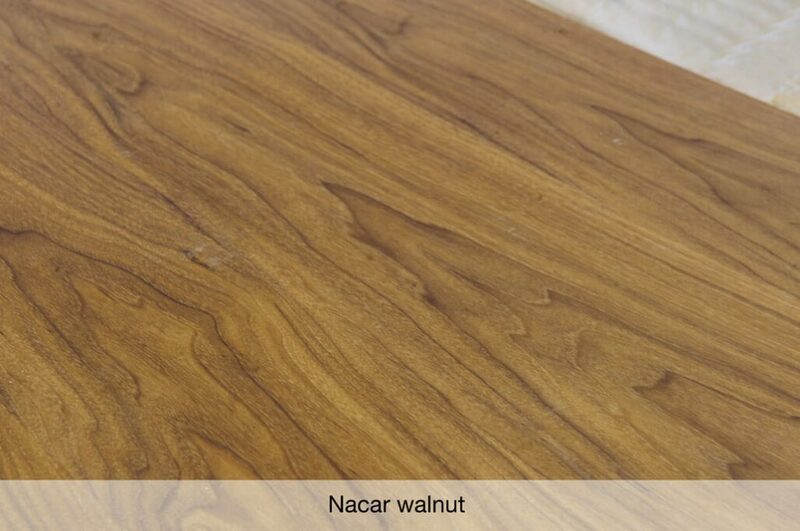 Finishes with a closed pore may need several ground layers, depending on the porosity of the veneer used. The degrees of shine are adjustable and are measured by means of a gloss meter in order to match the gloss of the surface (from Mat 8 to Gloss 80). Our specialists will copy the colour as well as the shine of your finished piece. 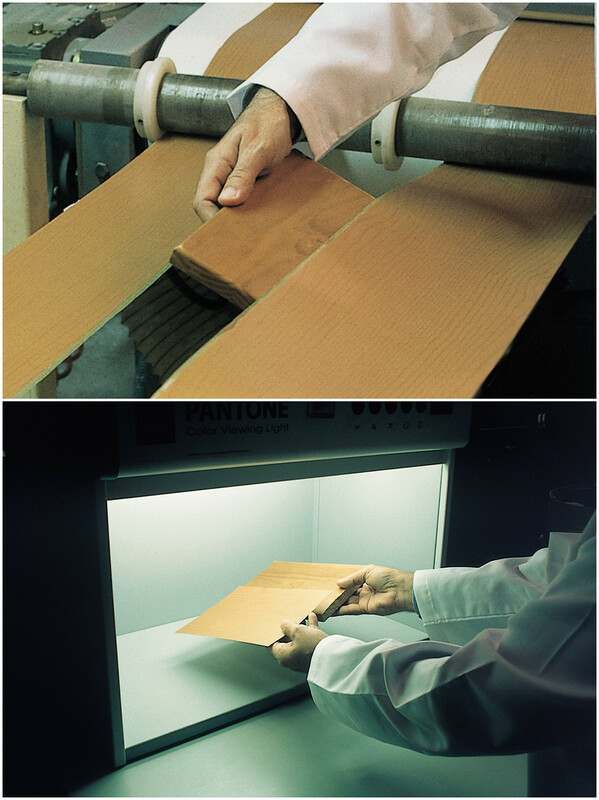 The colours of the resulting edge bands are compared with the board to be matched in a lighting cabinet using daylight D65. Must be clear that we apply the varnih on the surface. 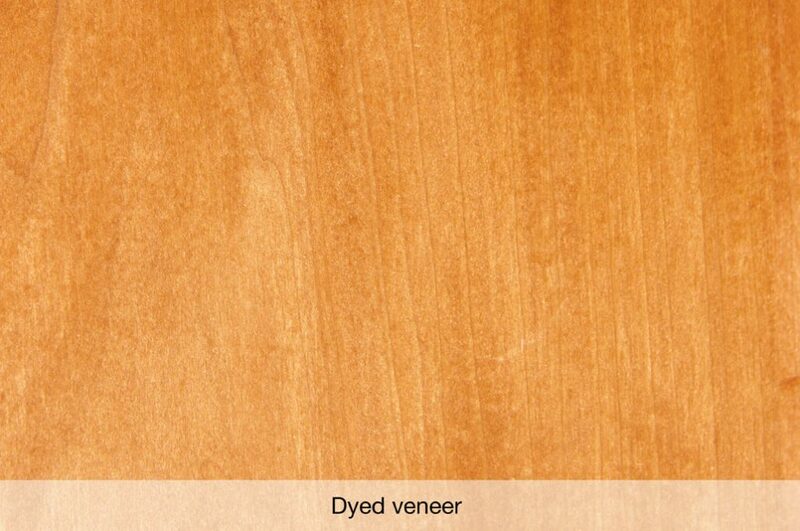 The inner layer or layers remain unvarnish, therefore, the profile edge remains raw. 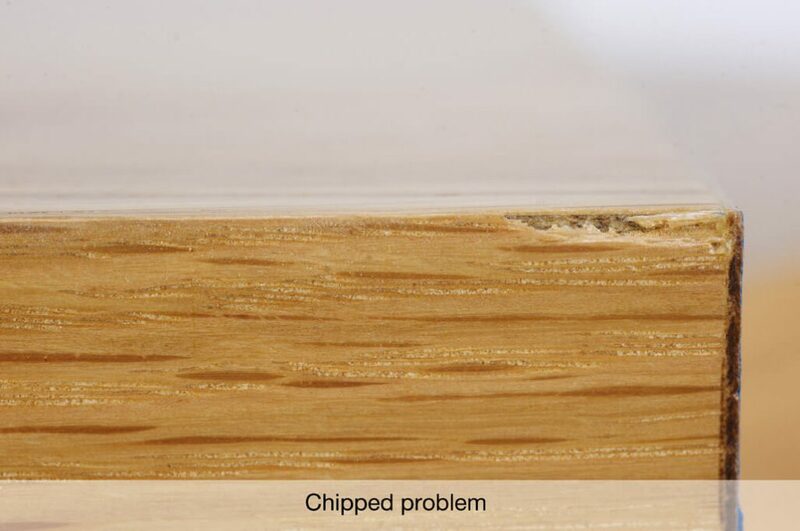 Therefore the customer will have to apply some varnish to the trim of the edge band in order to conceal it with the board. Do not hesitate to contact our technical department for thorough information. 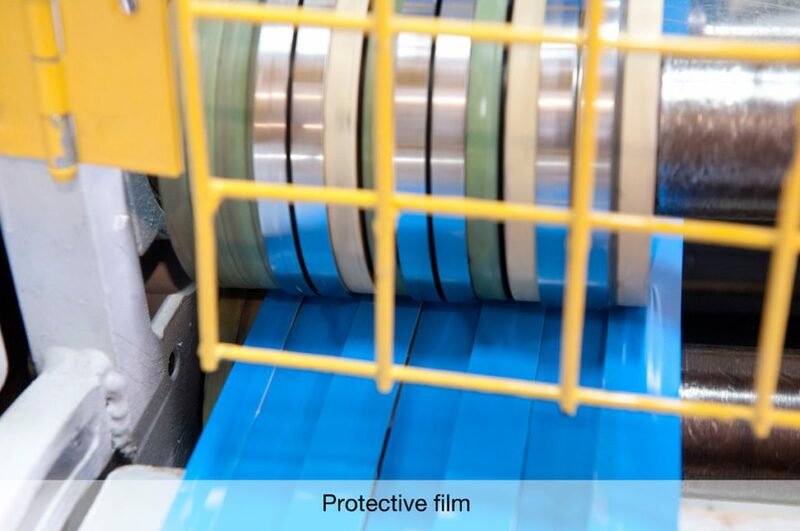 A plastic protective low adherence film can be applied to the surface of the edge. 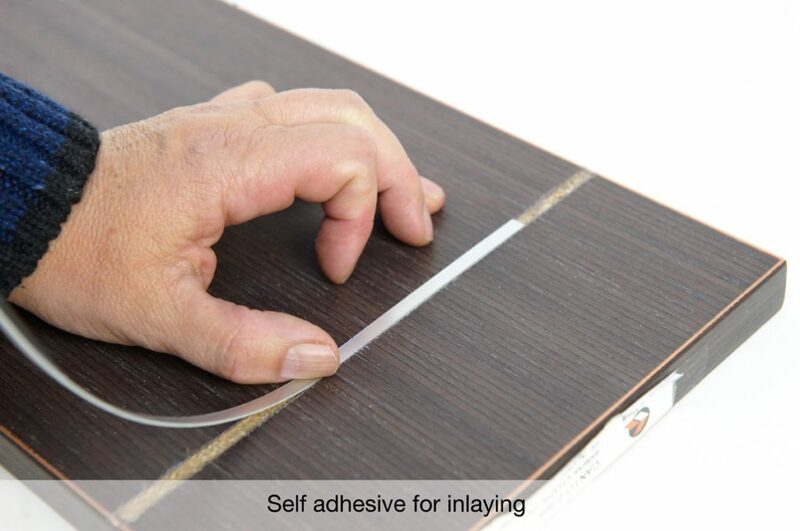 This option is most suitable for varnished and finished edges. 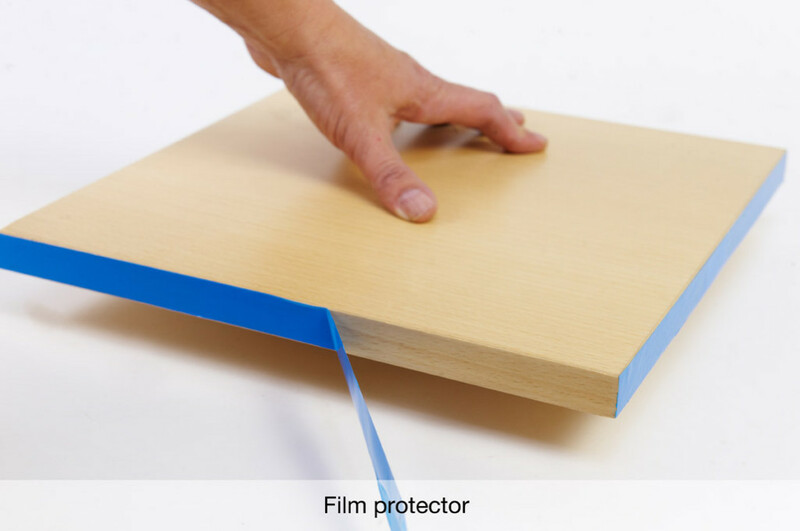 This film enables the user to previously fit the edge on the board and proceed to varnish the surface of the board with the different techniques available (roller, spray, …). Once the process accomplished, the film is removed (peeled off ) from the edge, revealing a perfect finish, free of stains and scratches. 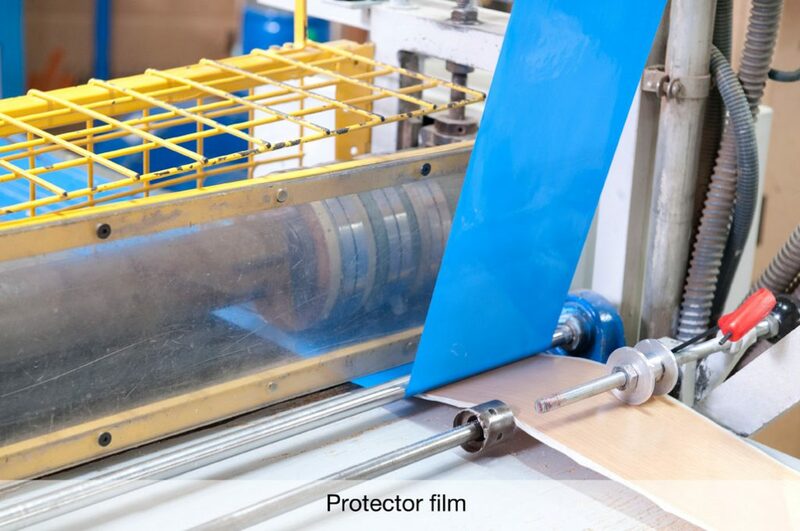 A pressure sensitive adhesive (PSA) can be applied to the underside of the 1 mm (2 layers) thick veneer edge, protected by a silicon paper foil. 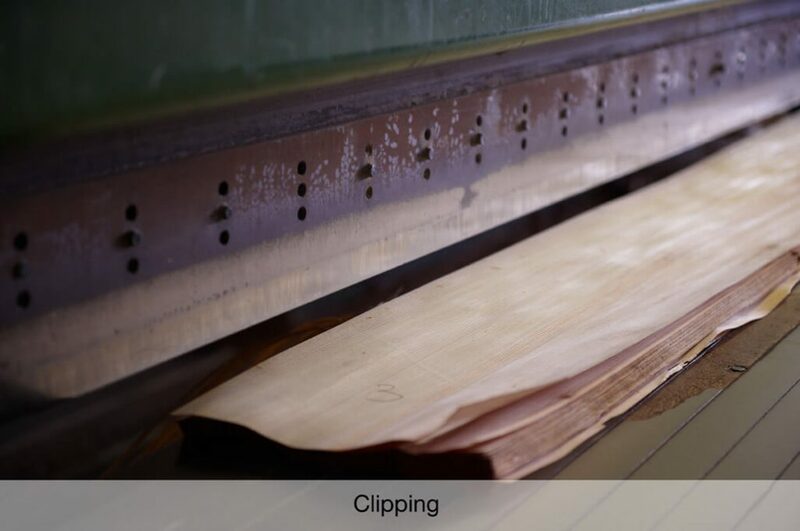 Occasionally, the wood specie employed can be very resinous or lack porosity, thus causing a poor adherence with the glues applied with edge banding machines. 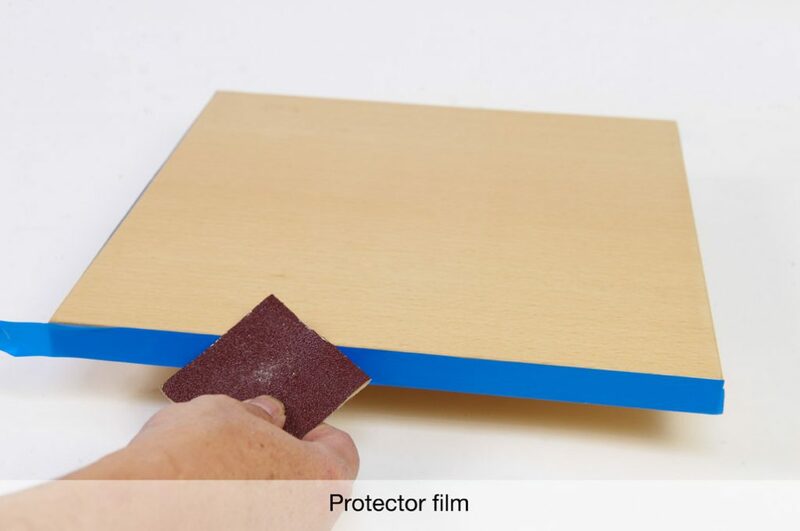 For these special cases, when scratching the back edge with a 40 grit sandpaper is not enough, with the application of an adhesive primer to the underside of the edge, we guarantee a perfect bonding. 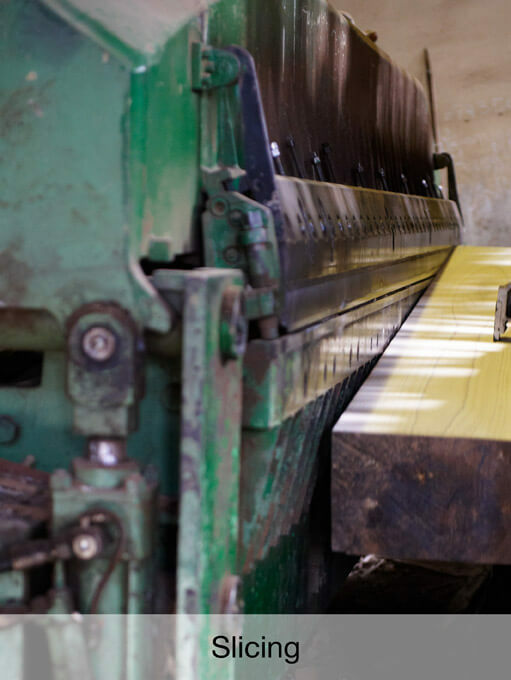 Following latests surfaces trends, we can apply different embossing to our veneer edges, enhancing the visual experience of real wood with natural tactile effects. 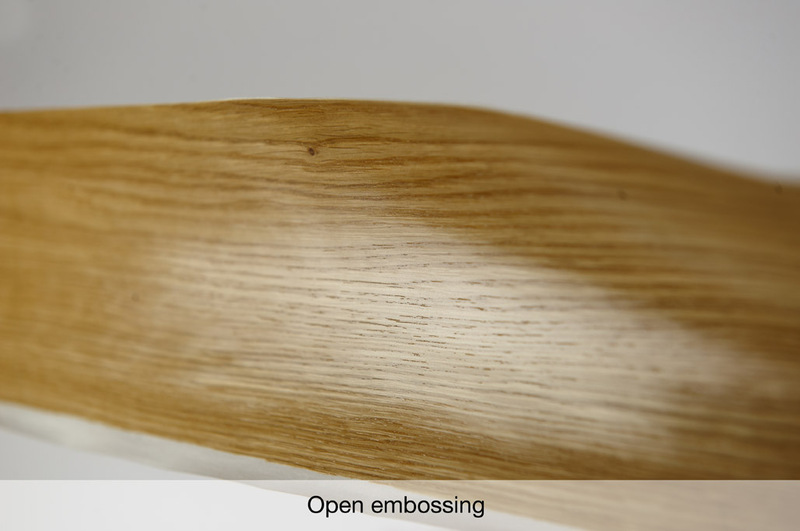 We have created embossings that feel and look like raw and finished woods. 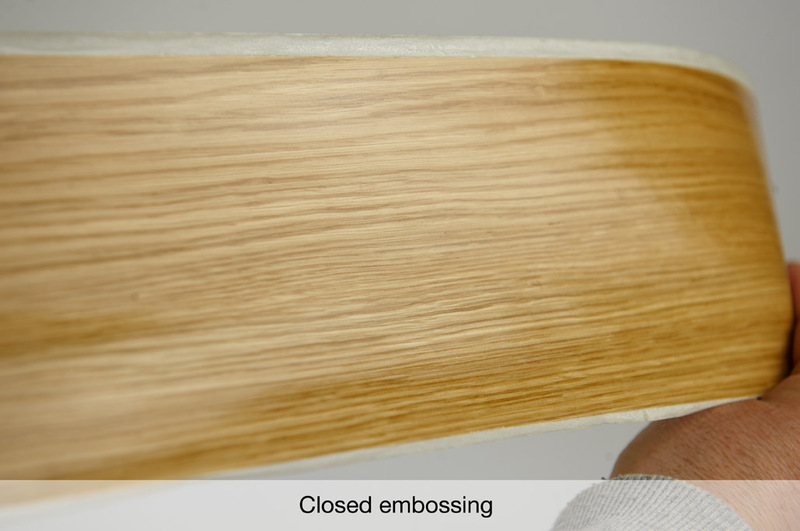 Our embossings can be strong and aggressive, transversal or with saw cut marks, conferring perfection not only in optics but also in haptics to our edge banding. 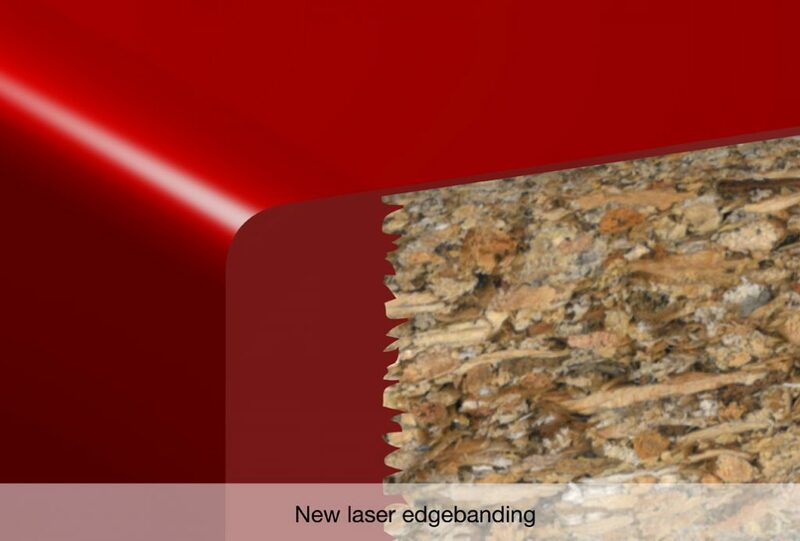 One of the latest technologies for edge-band applications. 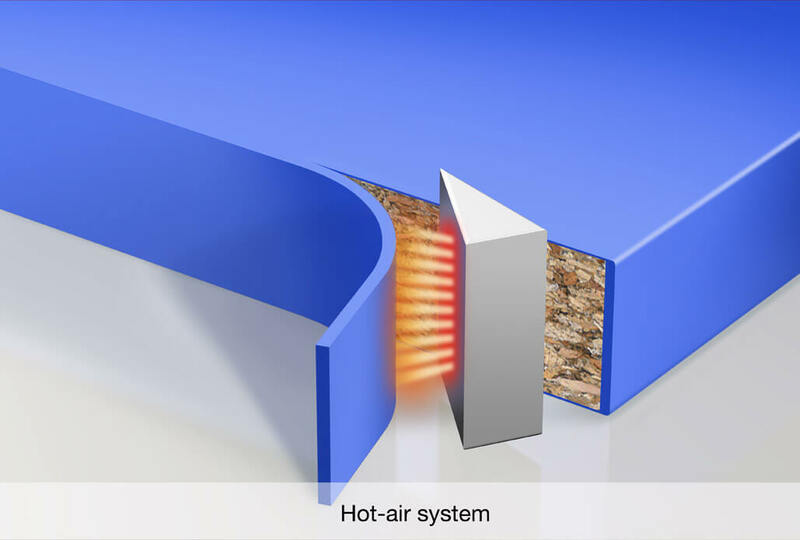 Its difference , compared to the more traditional systems of EVA base glue (hot melt), lies within the maximum bonding joint quality it offers. The joint between the edge and the board is practically invisible . This features a solid aspect of the finished item, giving it the appearance of being made of a single material (surface and edge) in a single process . 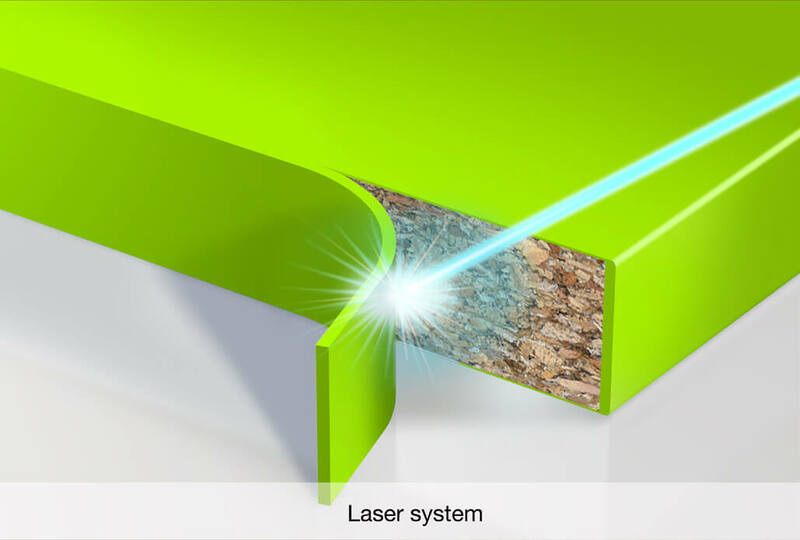 Furthermore, we can apply a layer of modified polypropylene to the underside of the 2.500 references in stock , in order to enable our edges to be used both on laser diode or hot air edge-banding machines. 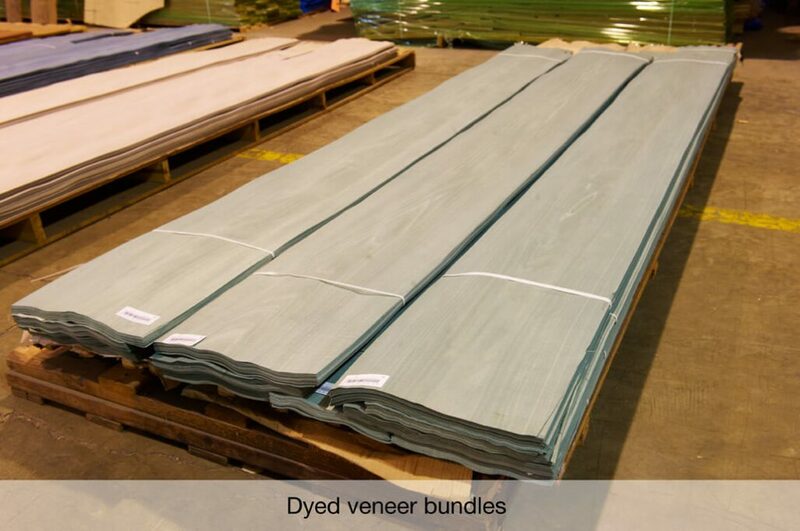 This polypropylene layer is available in 4 tones : white ,beige (natural), black, and brown. 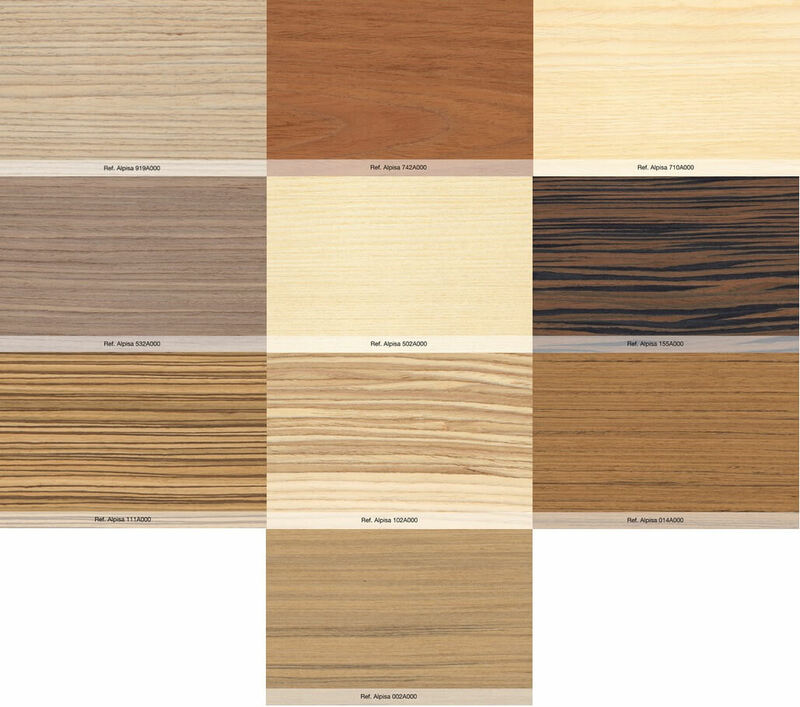 Depending on the color of the melamine and our edge, we use the most suitable color. 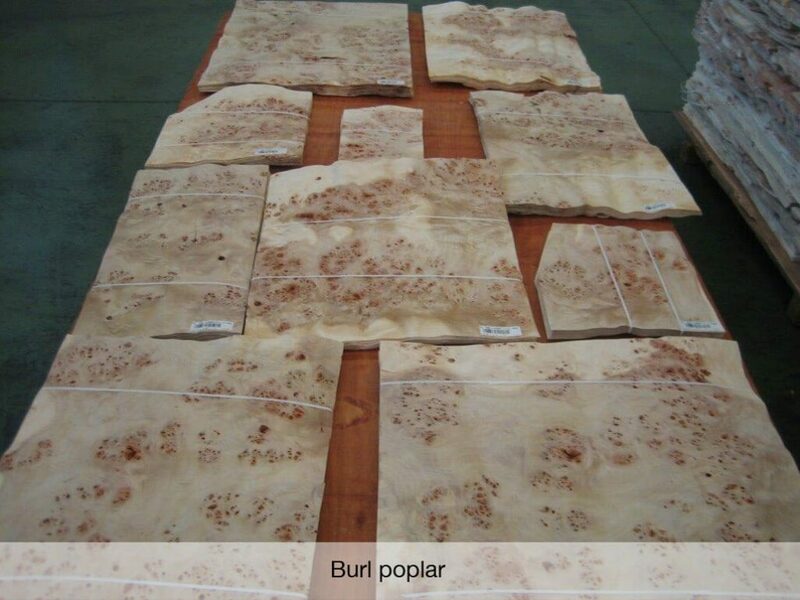 We strongly recommend a previous test of our product for the customer’s evaluation of the optimal joint result. Minimum order : one roll . Possible widths : any from 19 mm to 60 mm. 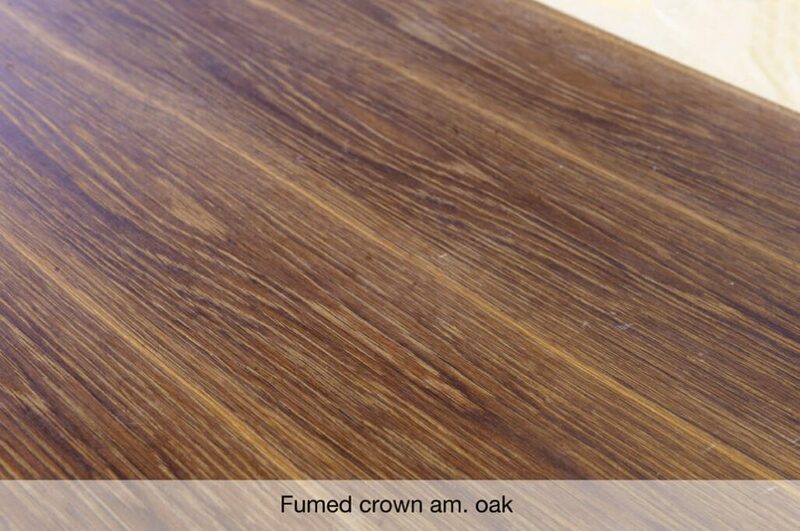 Possible finishes and thickness : same as for PVC . 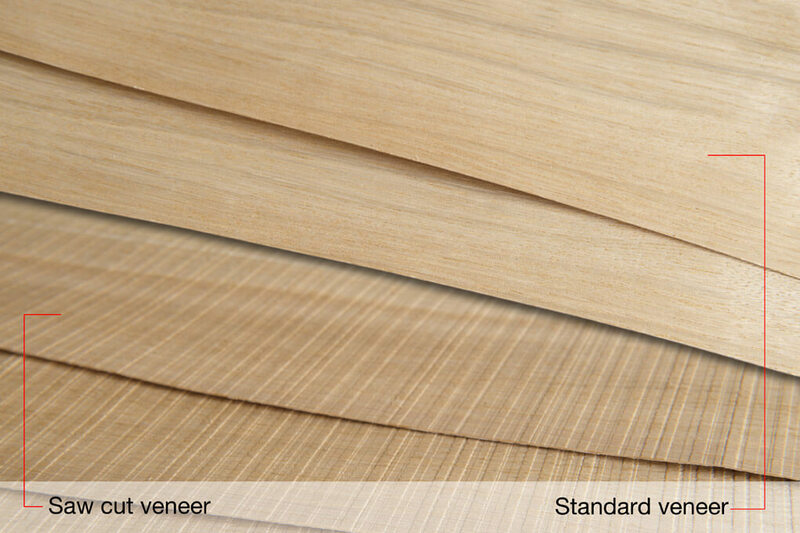 0,5 – 0,6 mm thick natural veneer sheets. We can produce with any of the available species on the market. 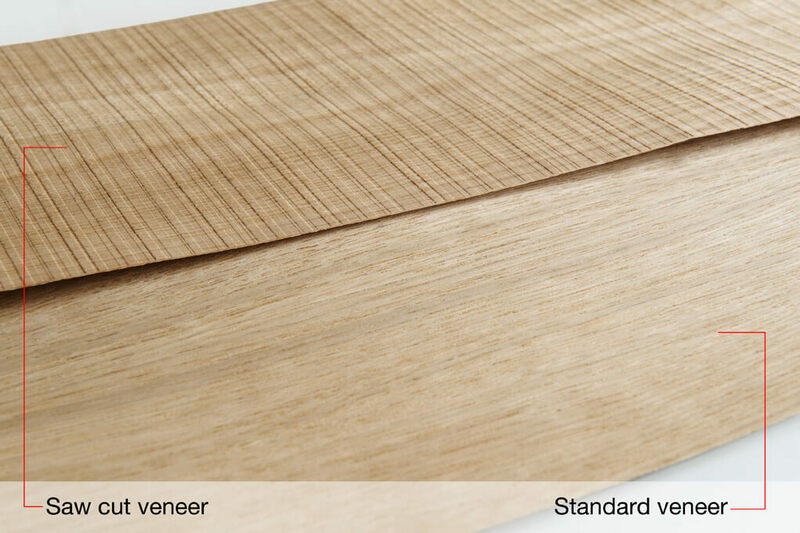 0,5 – 0,6 mm thick fineline veneer sheets. 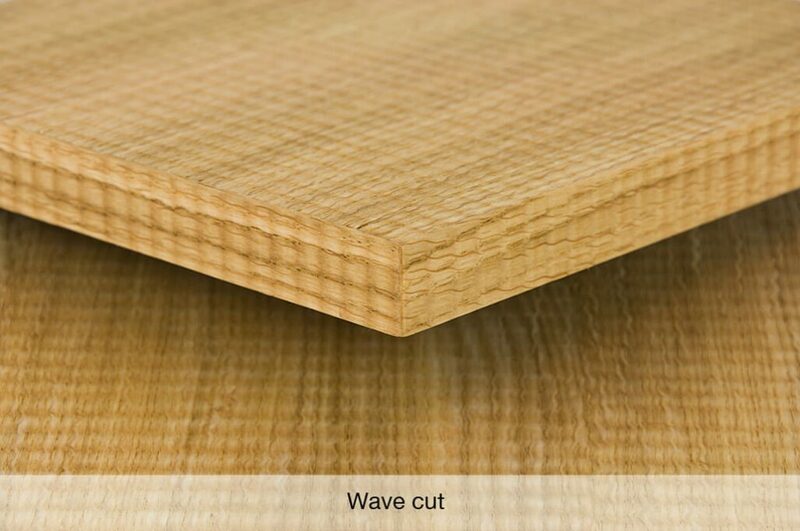 Fineline veneer is made of low grade wood which through a special process, is dyed by immersion, pressed to form a block and finally cut into sheets obtaining the required grain design. 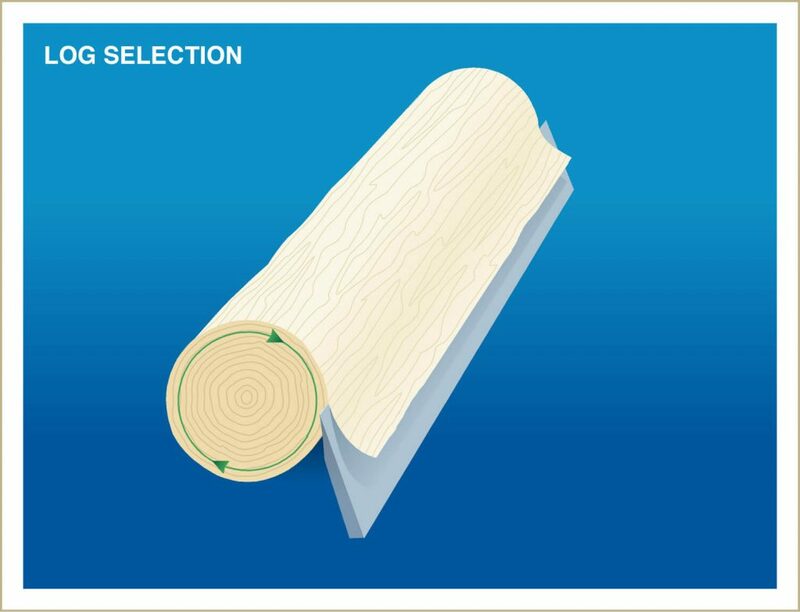 We can produce edge banding with any of the available species on the market. 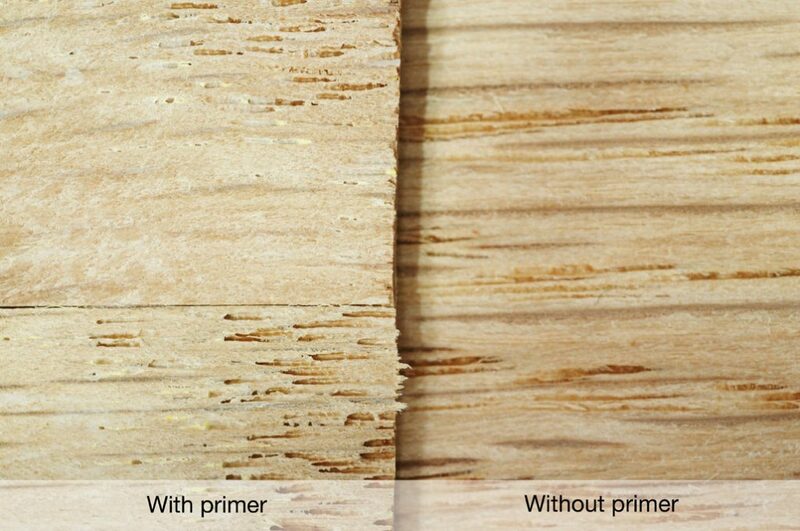 The fineline or reconstituted veneer is a thin veneer sheet obtained through lamination process beginning at the edge of a veneer block, thus obtaining a perfectly homogeneous or straight grain. While manipulating the contour of the sheets to be pressed, various configurations and very attractive aspects are obtained. Some or all the sheets can be dyed before joining them, so as to create astonishing aspects and colours. 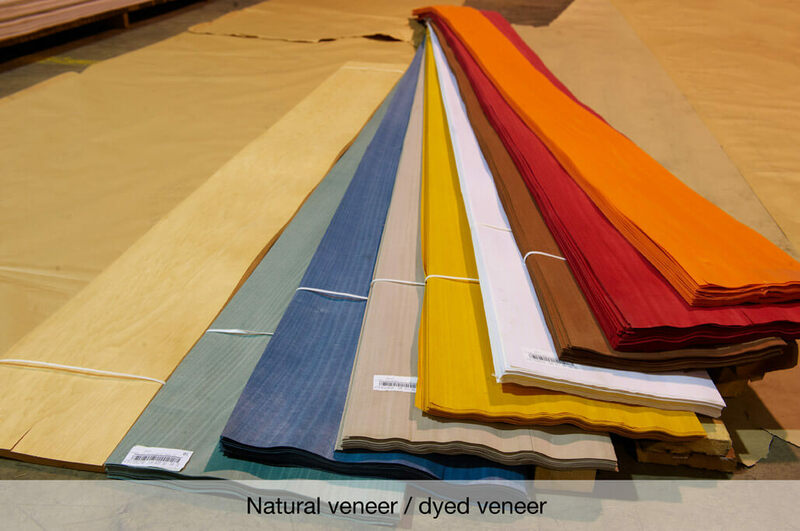 Dyed veneers are obtained when natural veneer sheets are immersed in a staining solution, which penetrates to the core of the veneer. 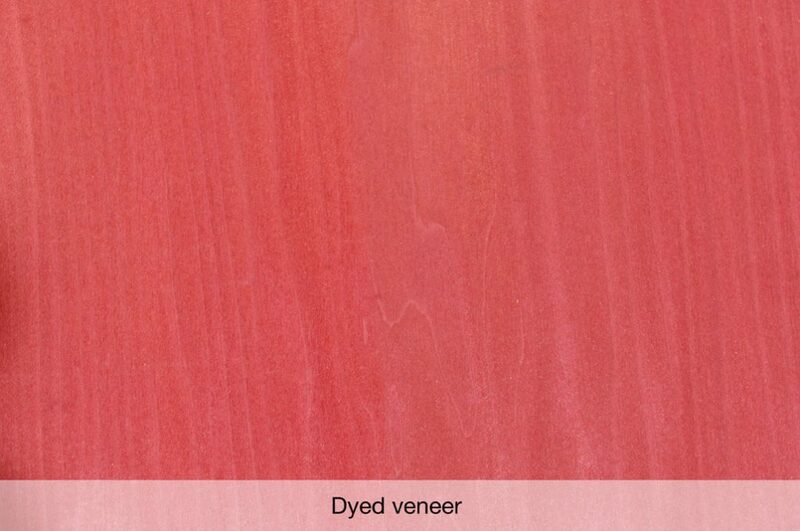 Deep colour, providing a different aspect to the veneer sheet. Ensures a higher colour homogeneity between bunddles bundles of sheets. More sanding margin without loss of colour. 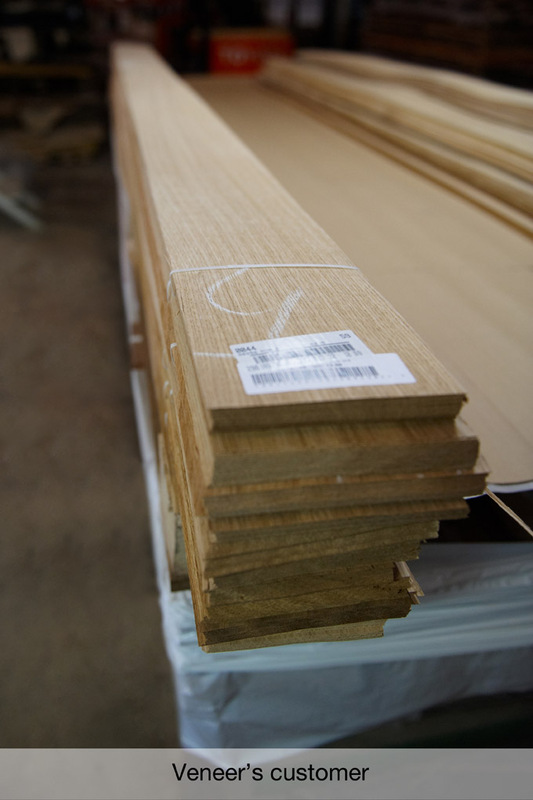 We can produce edge banding with any of the available species on the market, and obtain the customer’s required tone. 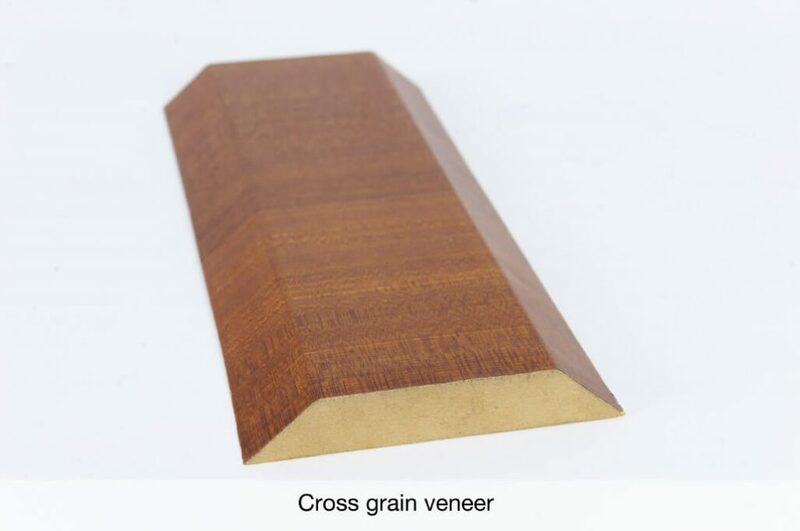 We can produce cross grain veneer with any veneer specie available. 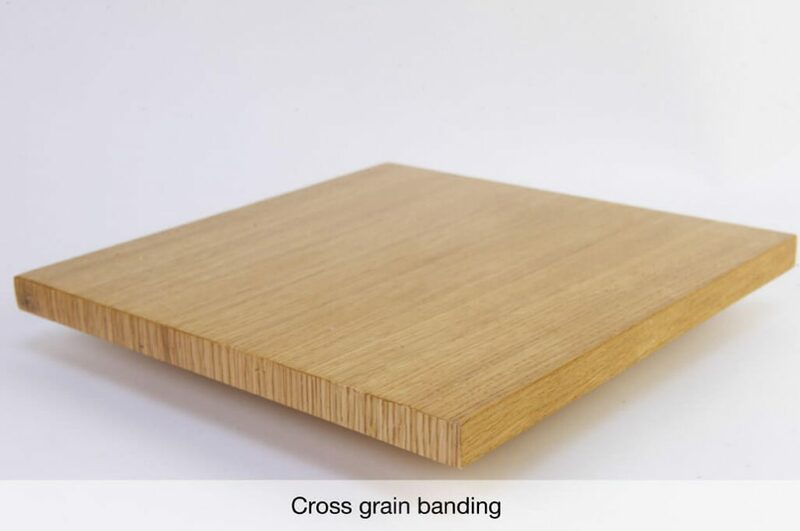 Cross-grain veneer refers to a sheet of veneer with the grain running width wise rather than lengthwise to give a different look. 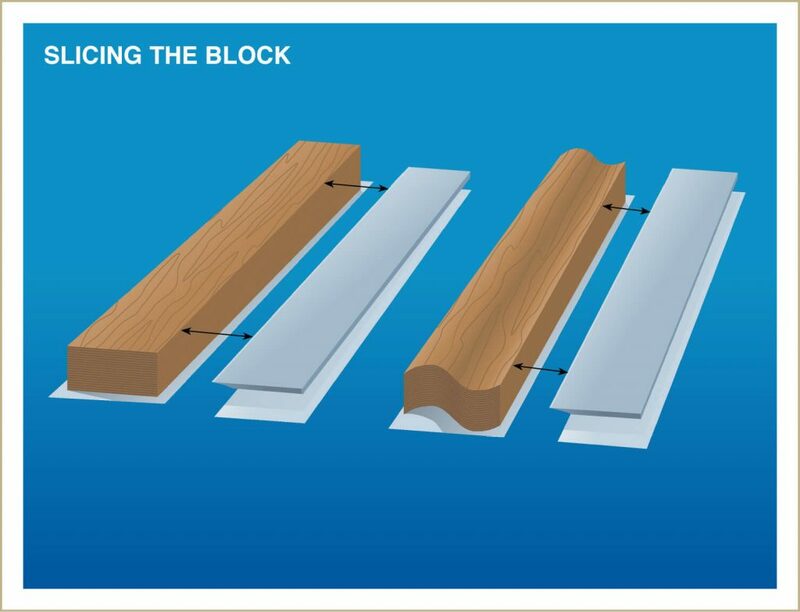 This product provides a very innovative visual aspect of compact wood in mouldings and furniture edges. 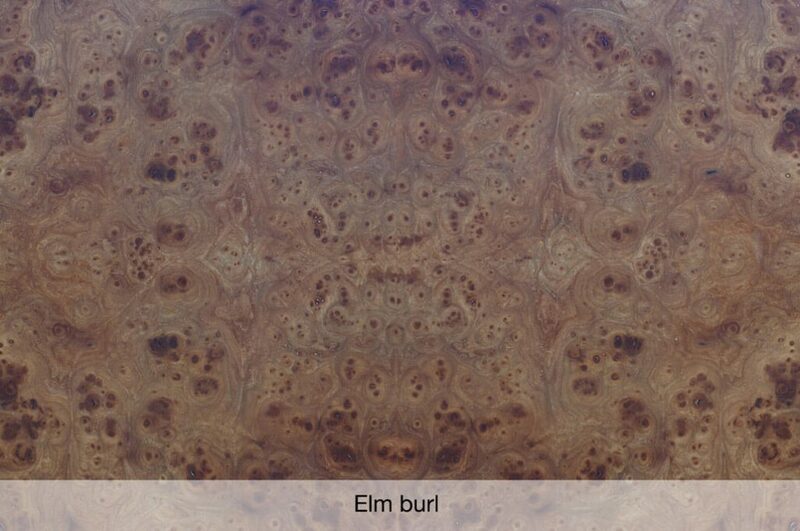 A burl is a tree growth in which the grain has grown in a deformed manner. 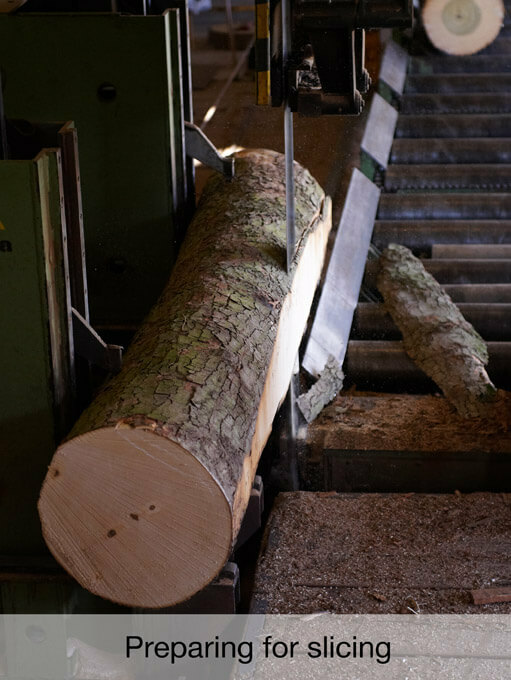 Unknown as to how this deformity develops on a log, it features an irregular pattern opposed to a smooth lineal aspect. 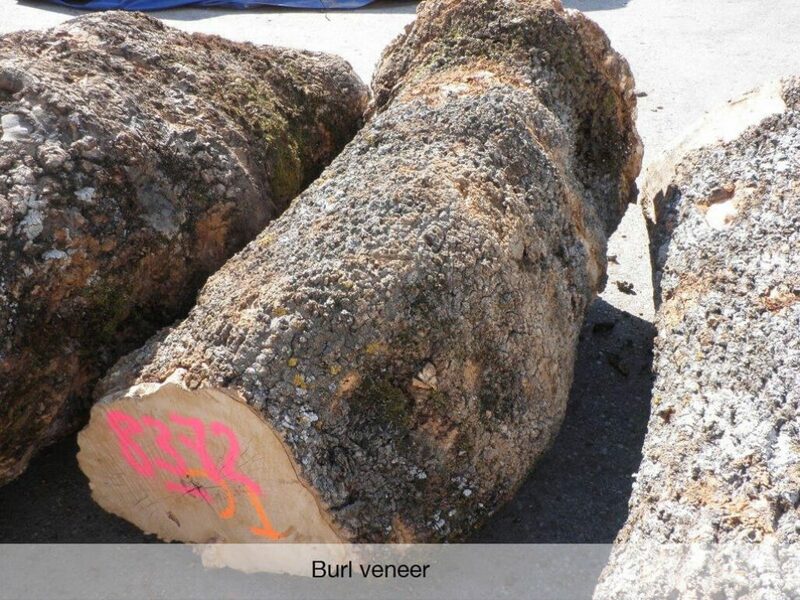 Veneer burls are both present underground or at surface level of the tree trunk. 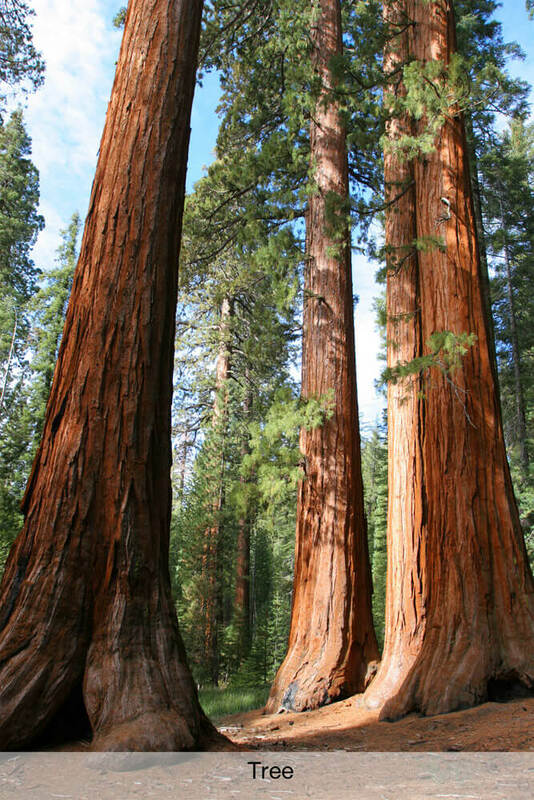 It is commonly found in the form of a rounded outgrowth on a tree trunk or branch. 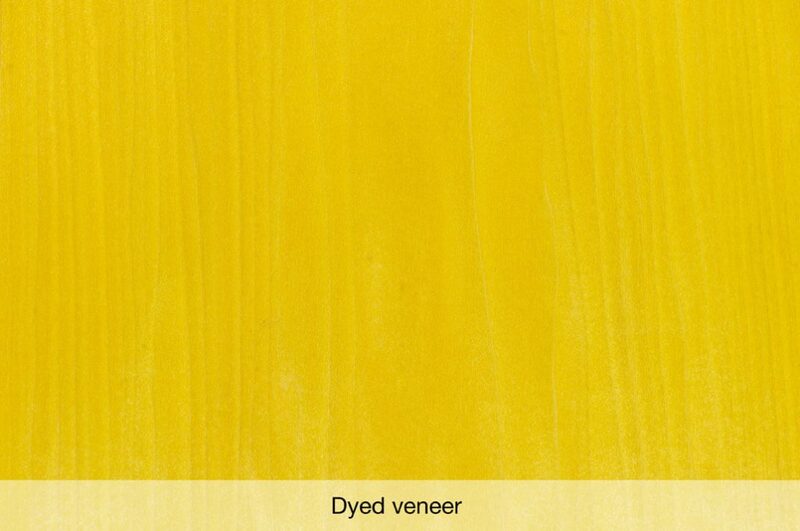 They are natural veneers which due to their exclusivity, are mainly used for special decorations. It is the resulting reaction of veneer to paper products, enhancing its originality, warmth and distinction, attributes that cannot be copy with printed paper. 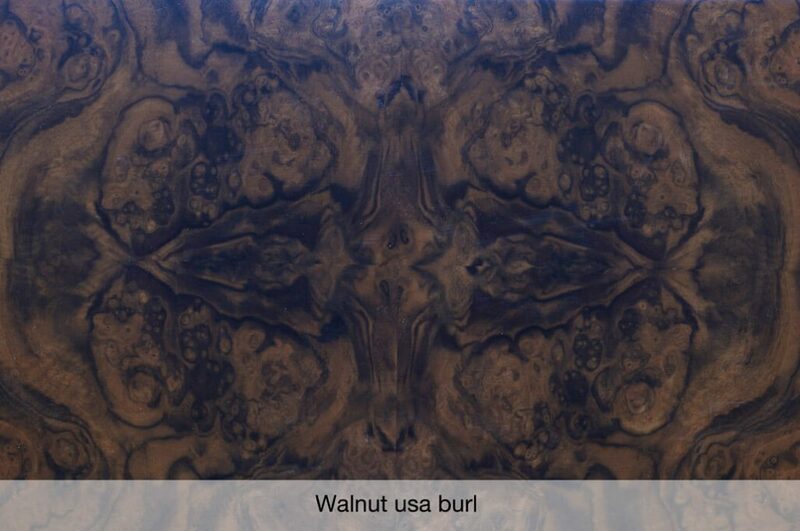 100% natural process applied in order to modify the original wood colour, without intervention of any chemical element. Colour much more uniform, almost to the level of a stained product. Colour sustainability, as it is free of any type of dye which could react to UV light and therefore generate tonality changes. 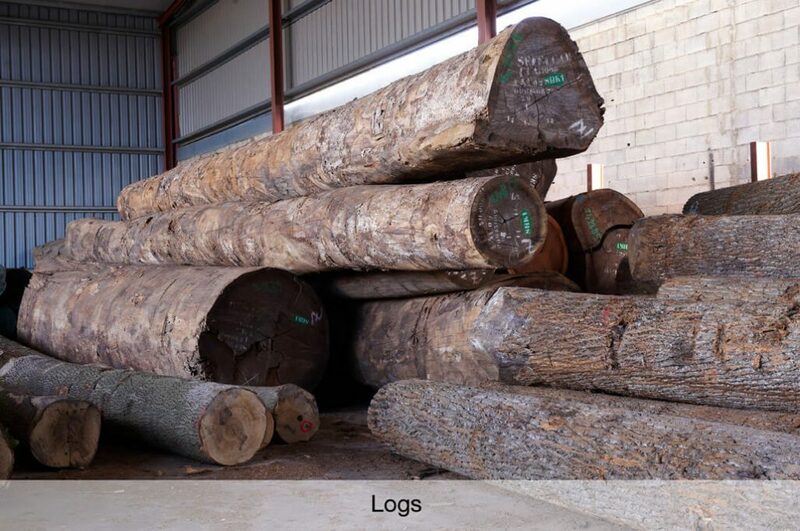 Aesthetically, it is a natural veneer which features a smoked look, shinny and enhanced by a 3D effect, maintaining live stripes and highlighting the aspect of each log. 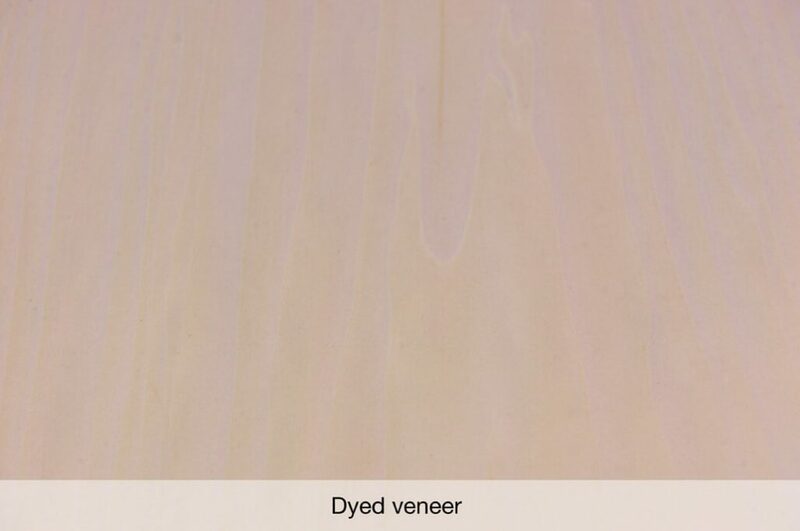 The smoked is a treatment based on the reaction of the veneer natural tannins to different chemical agents which change the original colour of the veneer without loosing its natural look. 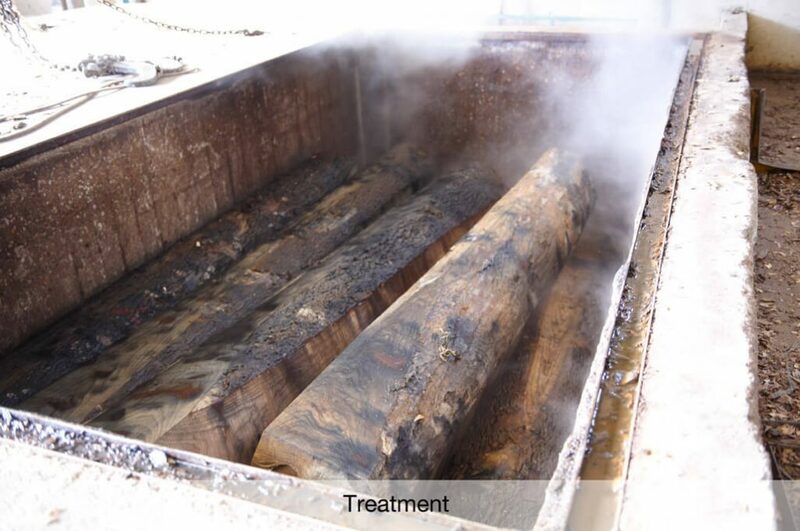 During the smoking process, the chemical elements are neutralized, thus ensuring a 100% natural PH product. 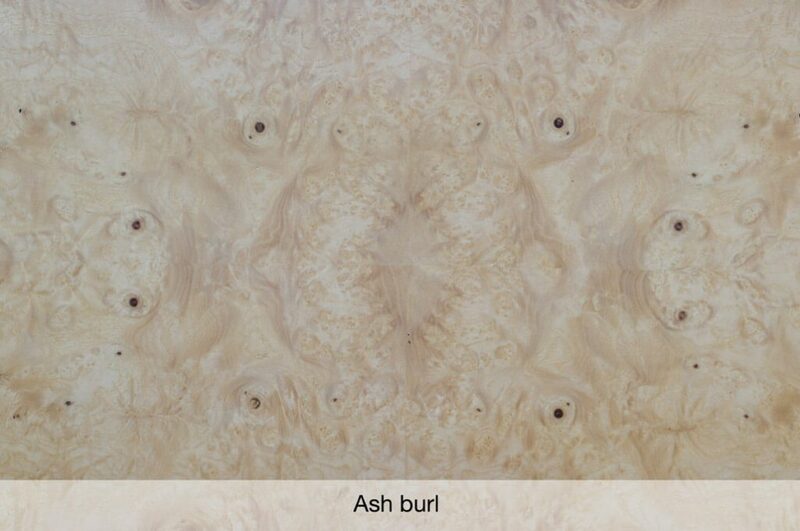 This accelerated process has the purpose of featuring a natural aged aspect to the veneer when exposed outdoors. 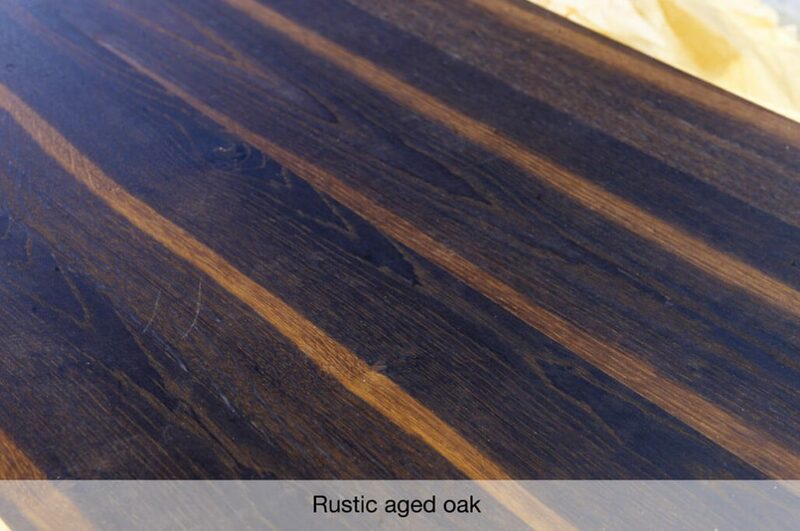 Grey tones which do not follow a set pattern are thus obtained, transferring to the final product a look of aged wood due to sun and weather exposition. Especially suitable for a rustic touch, cracked, with knots, releasing a unique and different look. Most appropriate product for interior decoration purposes. 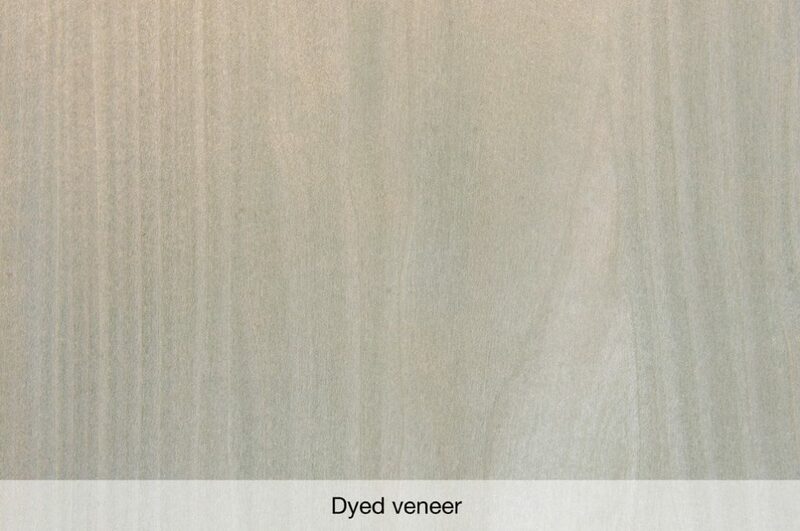 Following latest trends, we offer the rustic look of saw cut veneer. 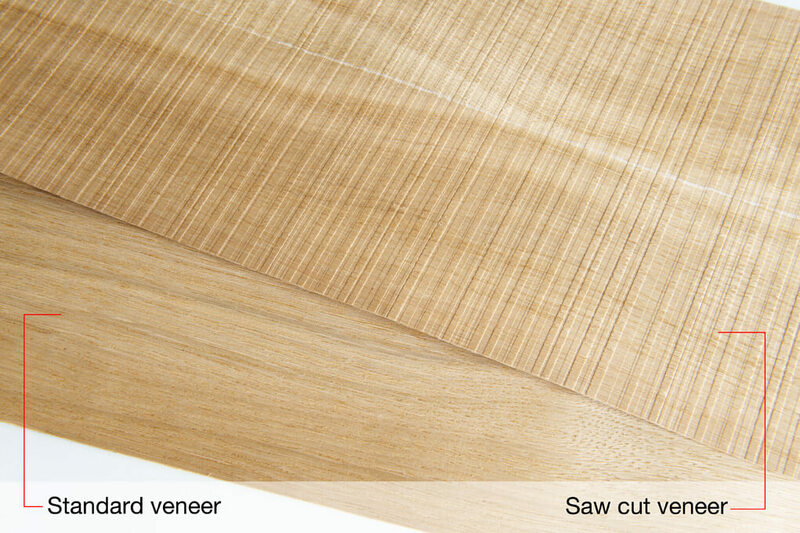 We offer nature-saw-cut in the most common veneers on the market. Deep transversal print embossed in such a way that some prints stand out while others are embedded. 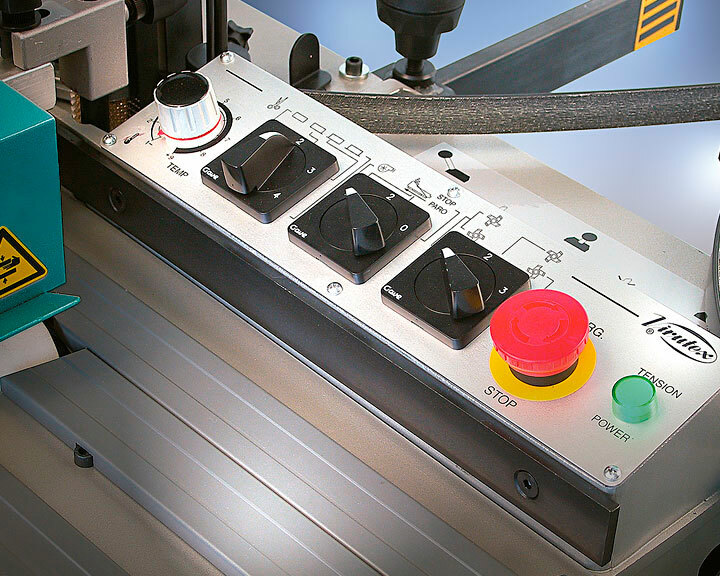 Two different types of prints can be visualized, depending on the inclination (slanted or straight saw cut effect). 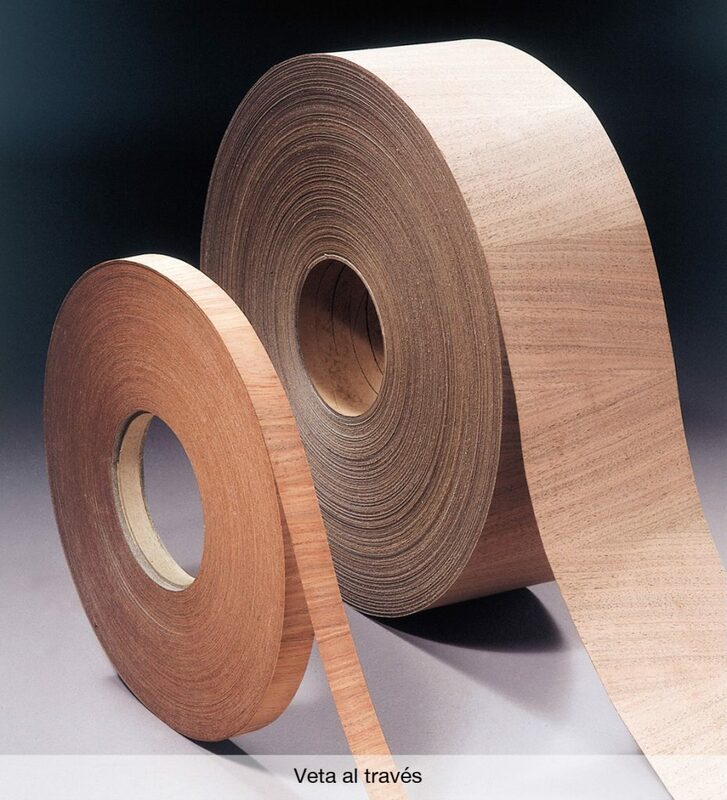 Standard thickness is 0,7 mm, but superior thicknesses can be produced. The visual effect is eye catching and enables a wide range of design applications. 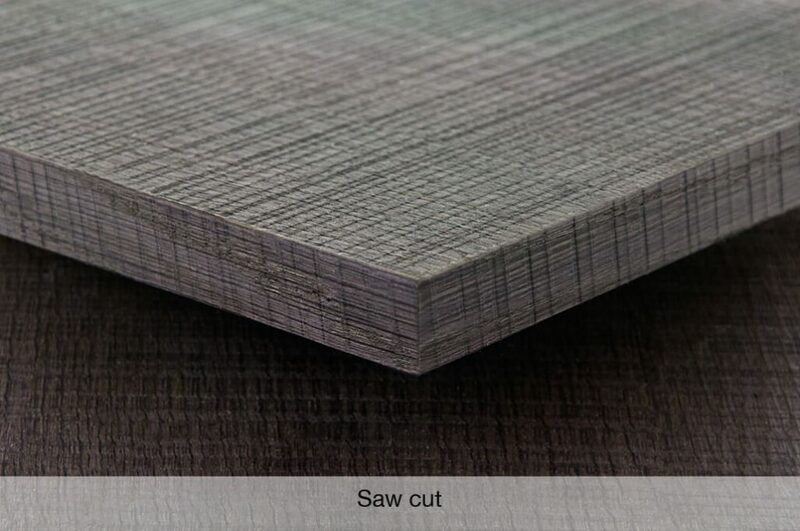 Natural veneer cross-cut in 0,7 mm foils. 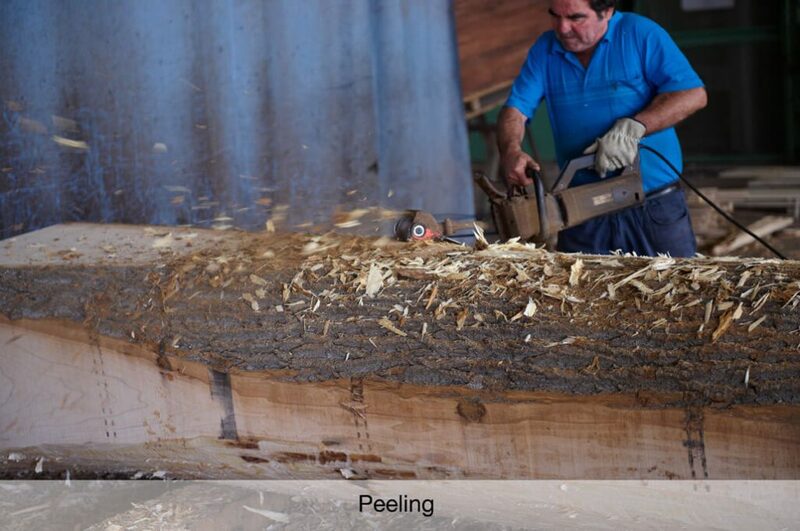 Of rounded aspect, end grain is obtained by cross-cutting the tree trunk. Thus the annual rings are revealed. 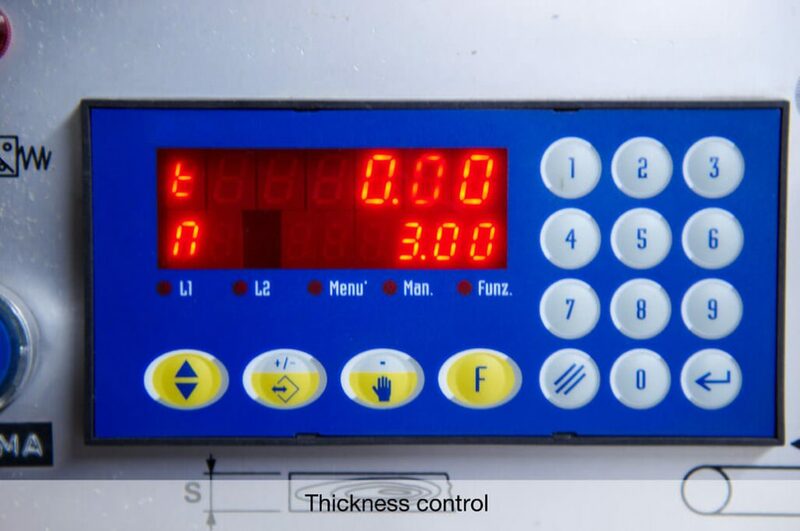 Standard thickness is 0,7 mm, but other thicknesses can be produced. 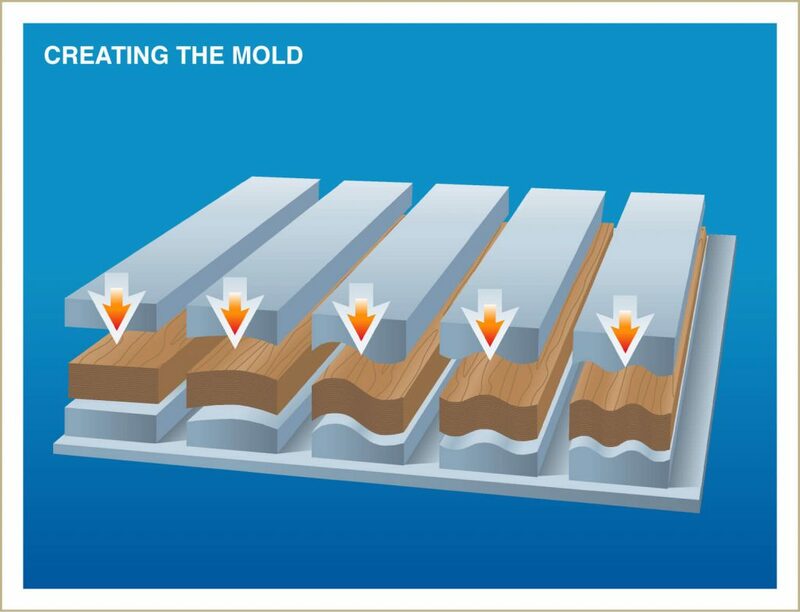 For special edge and moulding applications, a grain design can be printed over a different veneer. 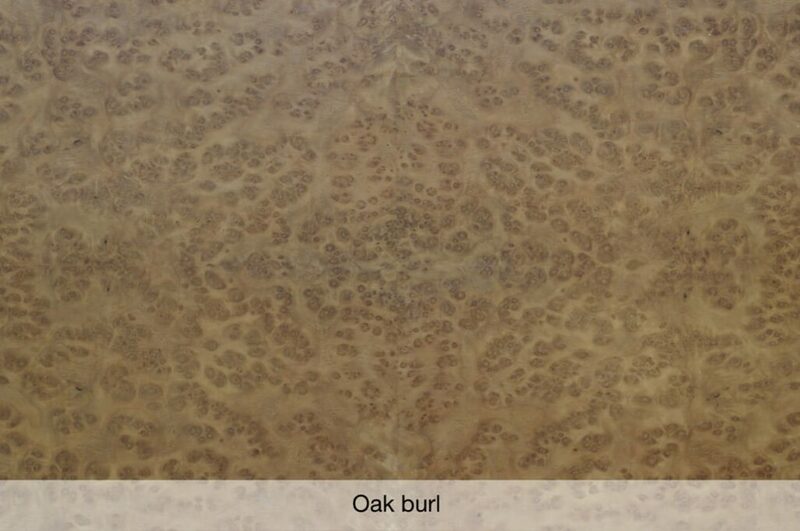 Using more economical species as a base, we can print the natural pattern or design of highly valued veneers with a matching tone. 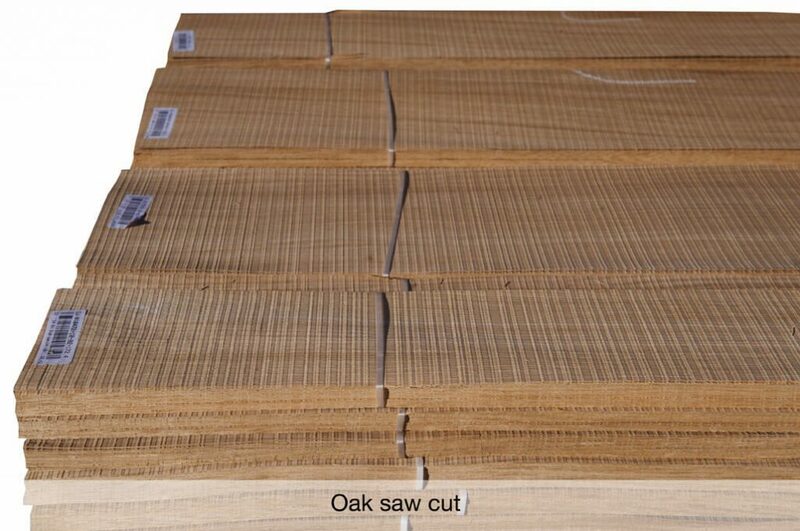 Just imagine a low cost veneer such as okume, over which we will print the grain and tone of, let us say, Rosewood Rio or Makassar Ebony. 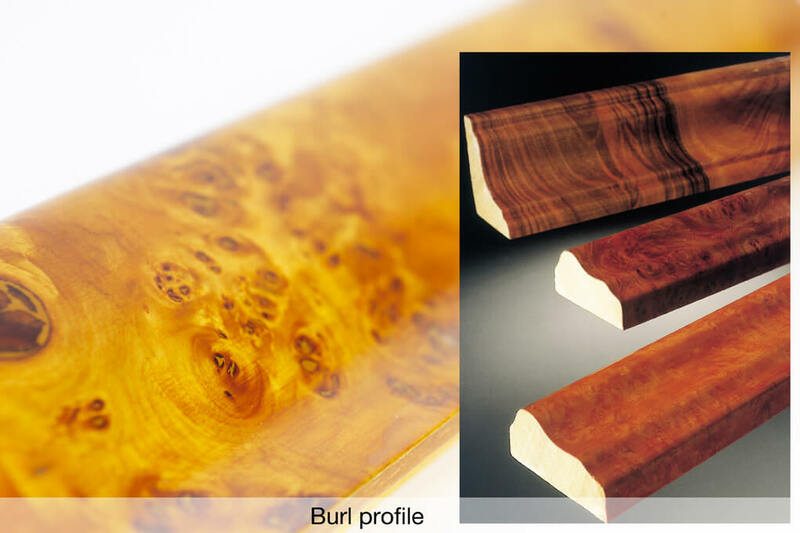 As the base of the product is authentic veneer, the touch and pore of the product will transfer the sensation of the natural pattern. Thanks to our printing technique we can obtain quarter cut patterns which prove to be difficult to find in extra wide formats (for example, 20 cms). 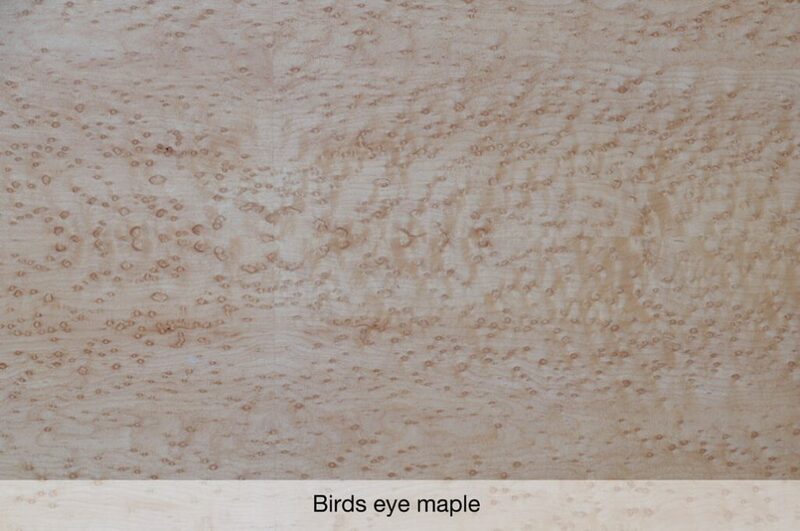 For personalized projects, working with the customer’s veneer is an option we offer. In projects where the surface and the edge need to be from the same source, we can manufacture the product with our customer’s material. For more information, feel free to contact us, we will clarify any doubts you may have.